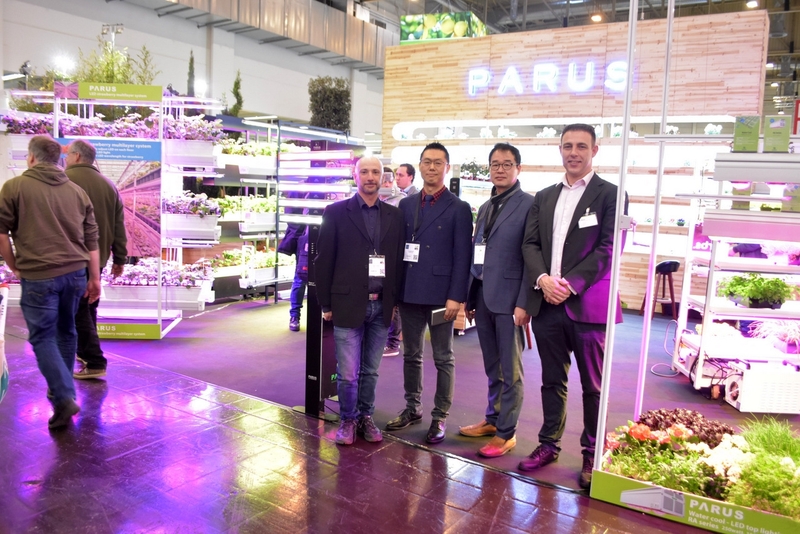 It's bright and there's strawberries all over - that must be the Parus team on the exhibition floor! The company brought their new strawberry system. 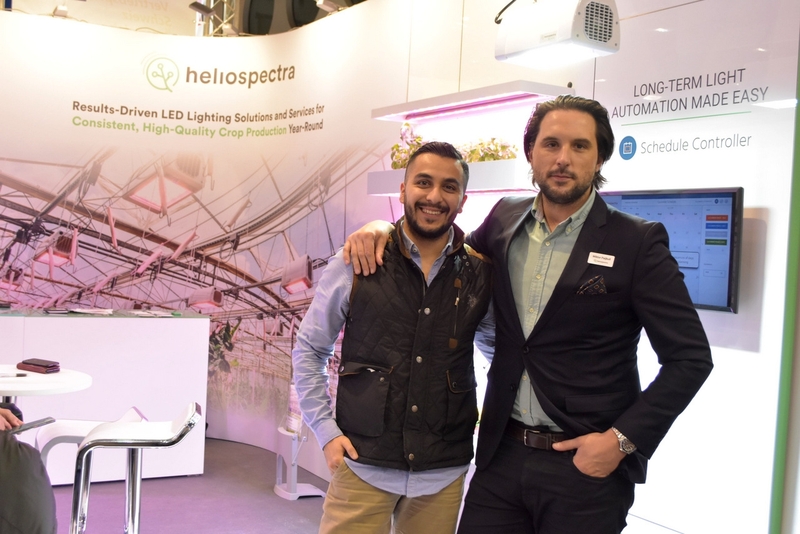 Jef van Gorp & Tom Vermeulen with Roam Technologies, showing the Huwa-San product to dealers and growers. 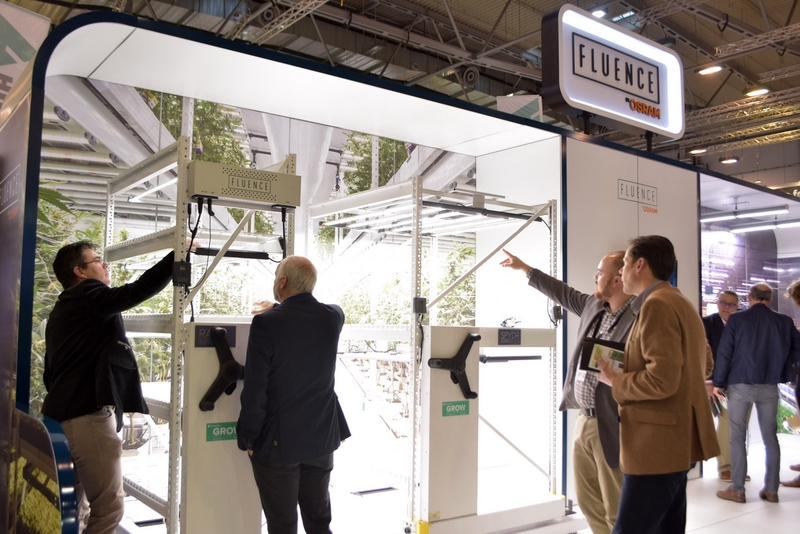 Fluence brought their bright lamps and as usual on the trade show many visitors took the time to check them out. Visited by their friends from Prayon: Dave Pinxteren & Kurt Verhelst. 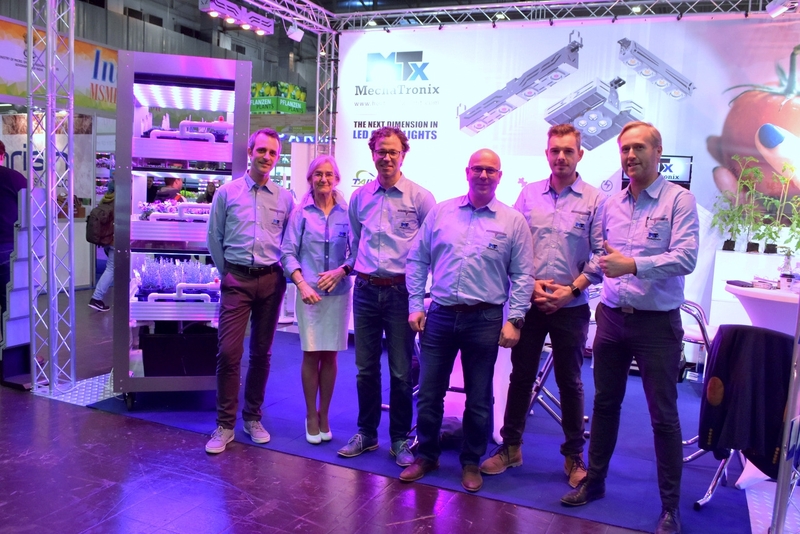 Koen Vangorp with Mechatronix, showing the CoolGrow VF. 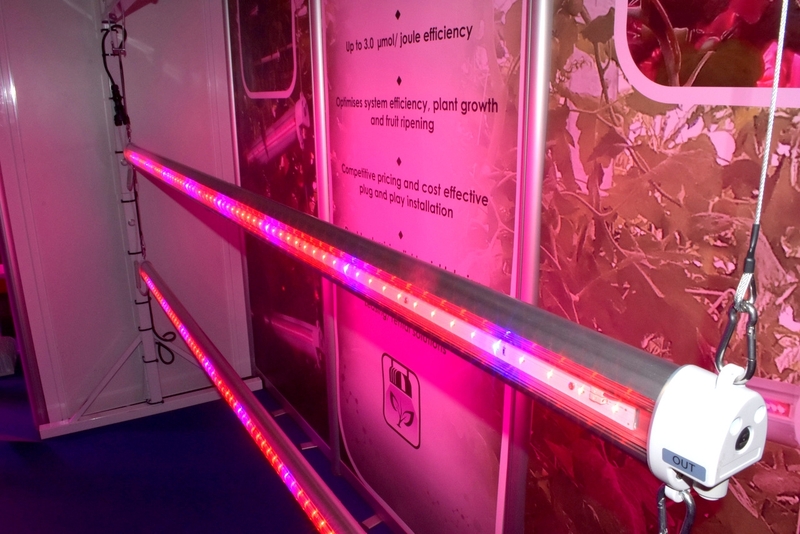 This solution offers growers a way to do flexible LED-research in an affordable way. 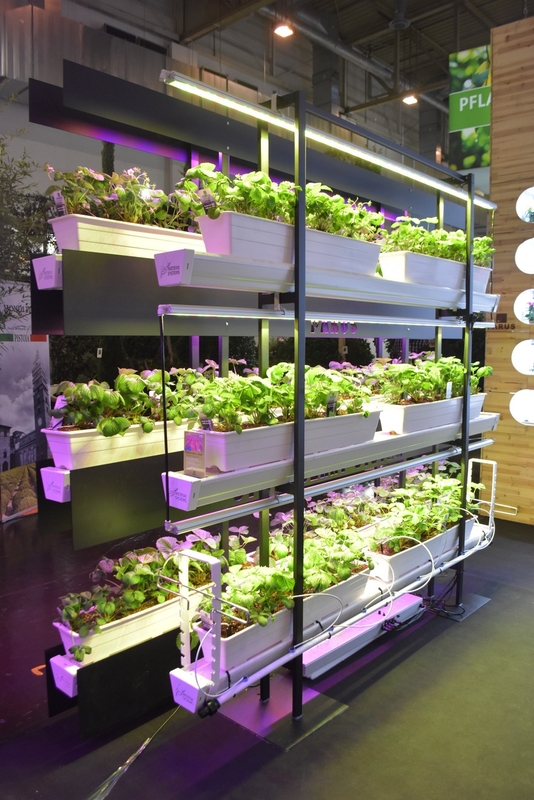 Remarkable: there are no LED-strips, but the LEDs are within the glass. Jorg Swagemakers (Van Krimpen) with the biggest ornamental pot in the new series Elegance in the trend color cane green. 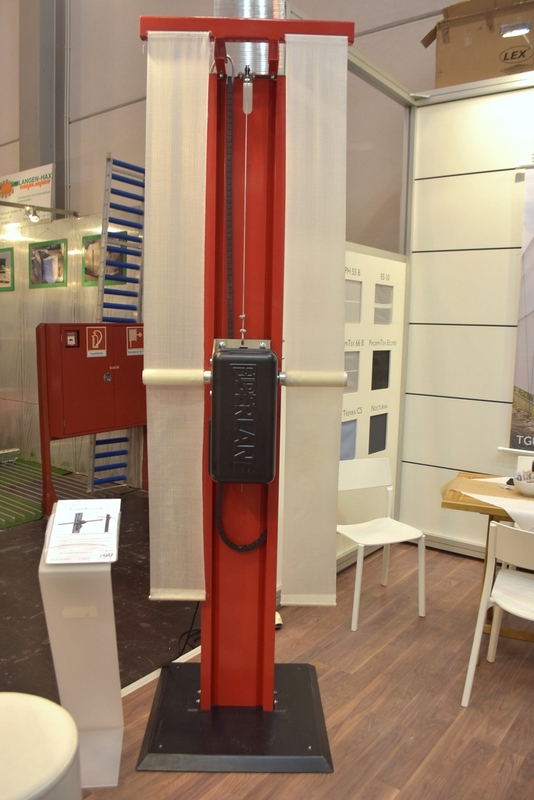 The series includes pots from 15-38 centimeters diameter. 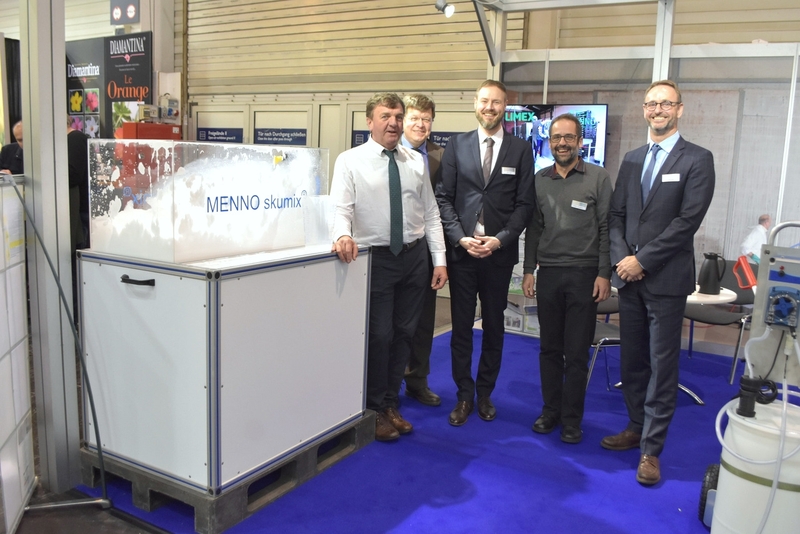 The Menno team showing the disinfection Menno foam. 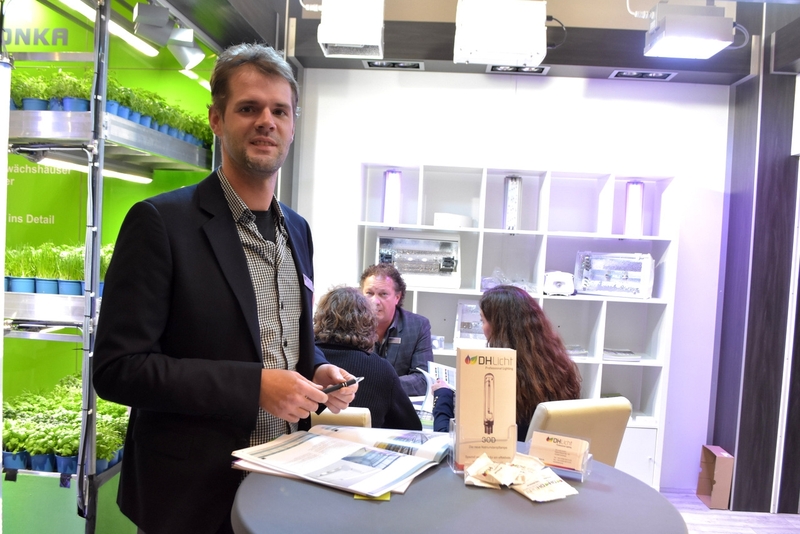 Van Krimpen also brought a orchids pot with QR-code for better tracing. 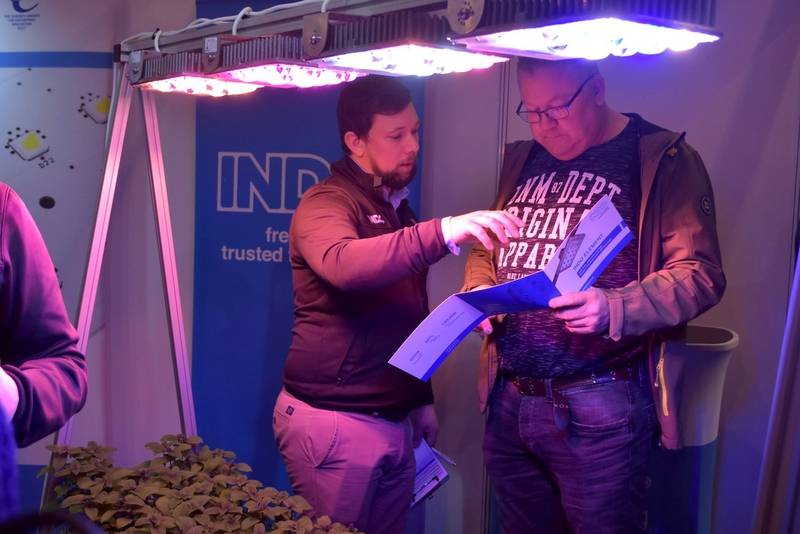 UV-light is needed to see the codes on the pot. 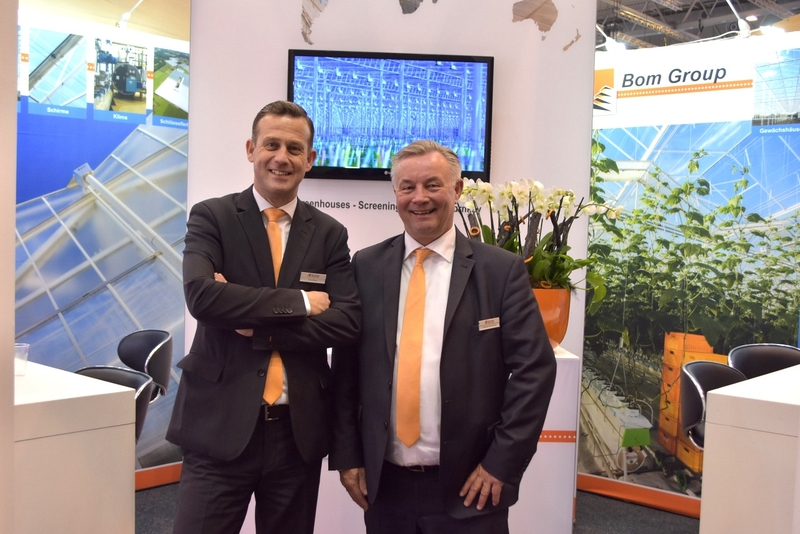 Berry Zuiderwijk and Peter Tanke (Holland Tuinbouw Systemen) under the Sunroof TD, a cabriolet greenhouse. 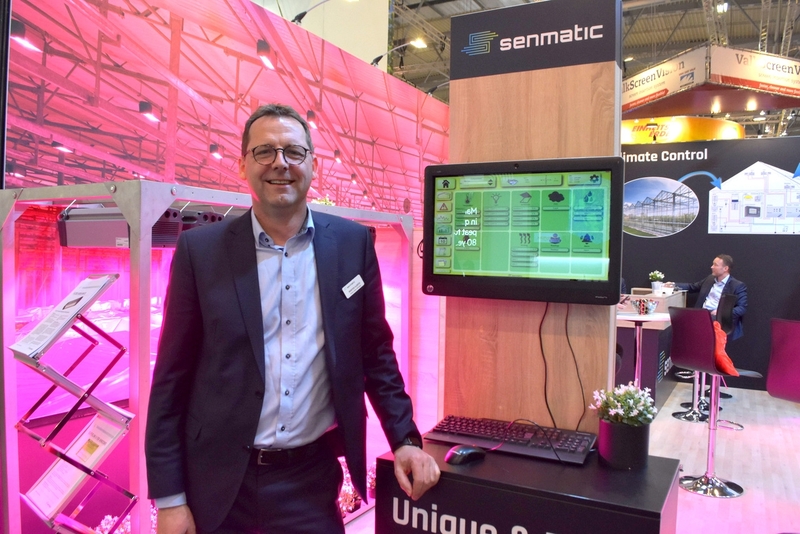 Morten Hjorth shows how the program works intuitive and is easy to manage, something that was given a lot of attention by Senmatic. The new Superlink 6 will be available in April. 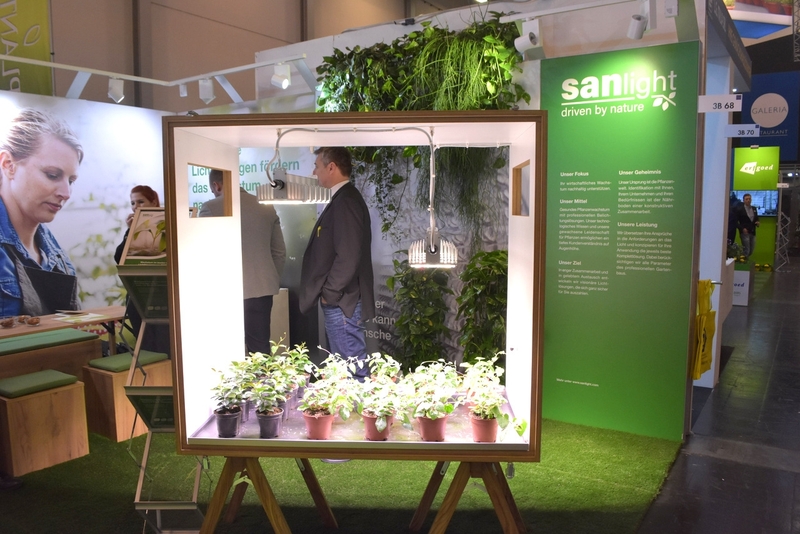 Viscon/ Aimfresh with a diverse range of new concepts including the Waterwick, a watering system for at home, The Gardians as e-commerce concept for plants and Dip & Grow: an organic mossball from which up to five times a head of lettuce will grow. 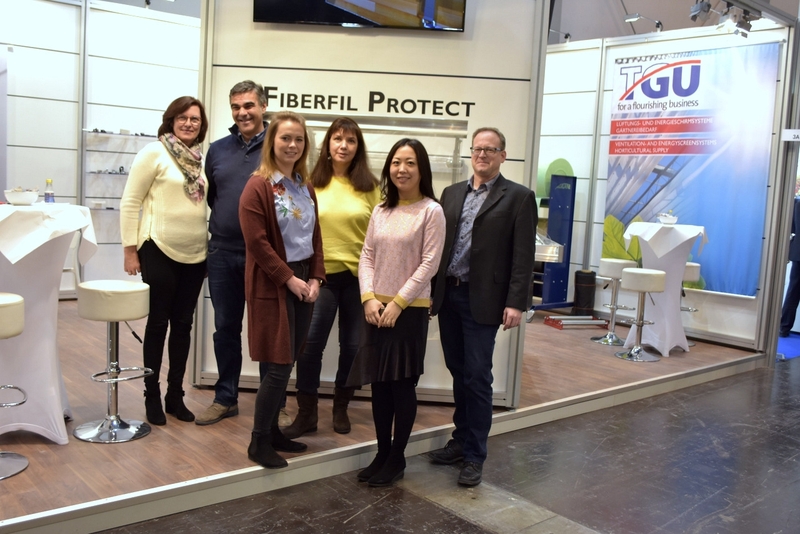 Starting from the left: Tessa Spek, Dustin Pietersen, Bart den Hertog, Amanda Liu and Turi Daelmans. 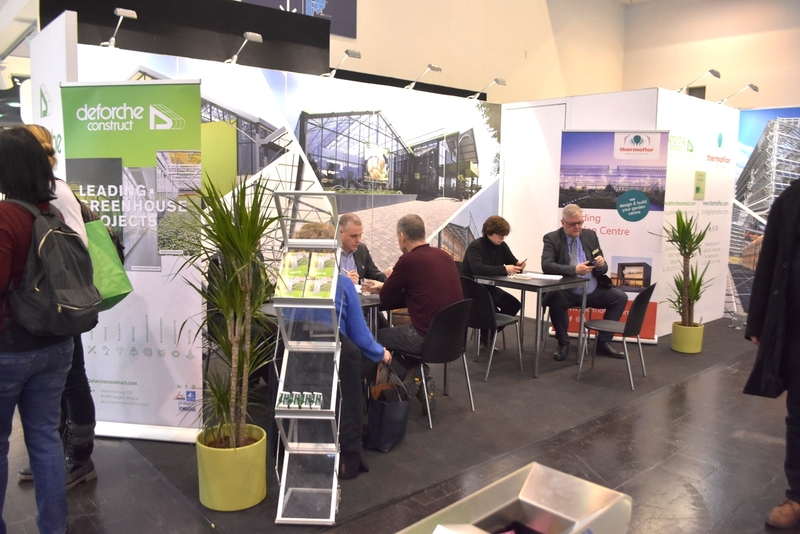 Couldn't walk through the paths in hall 3? Then the Autostix demo must be going on. 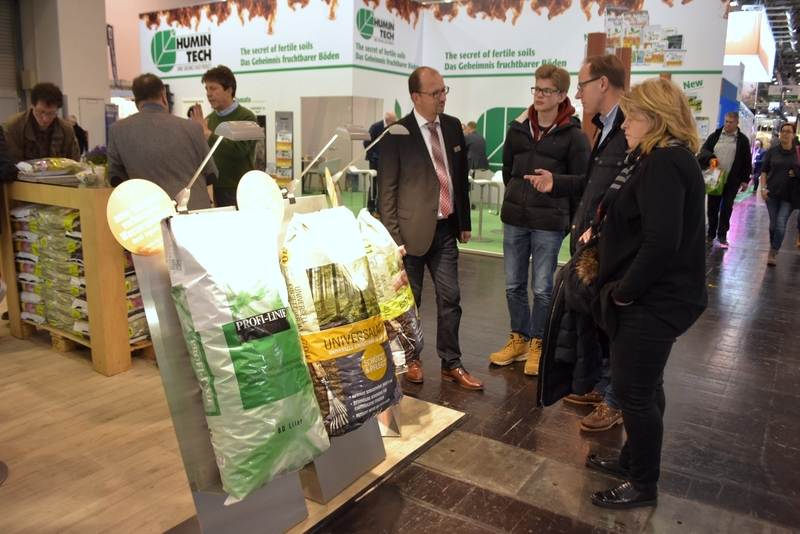 Visser Horti Systems showed many visitors the innovative system. 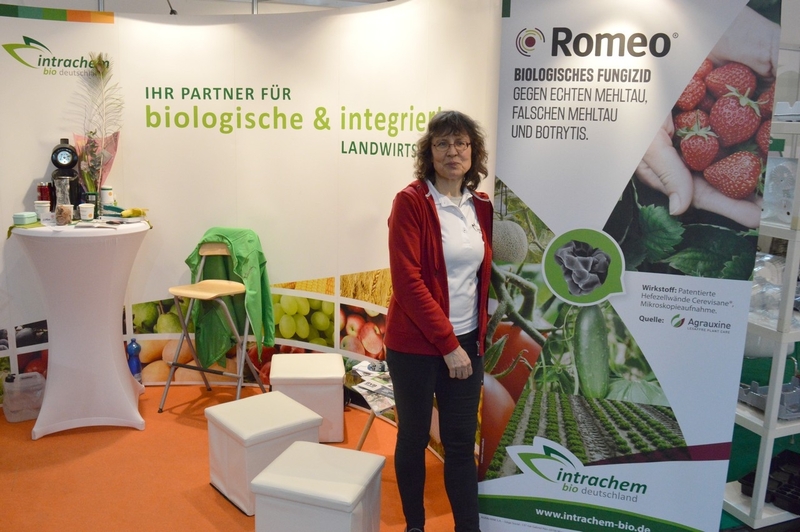 Sven Büttner, Roland Will, Angelina Imprescia, Martine Vos and Pascalle Lahay (Rootbarrier) brought bio covers against weeds to IPM Essen. 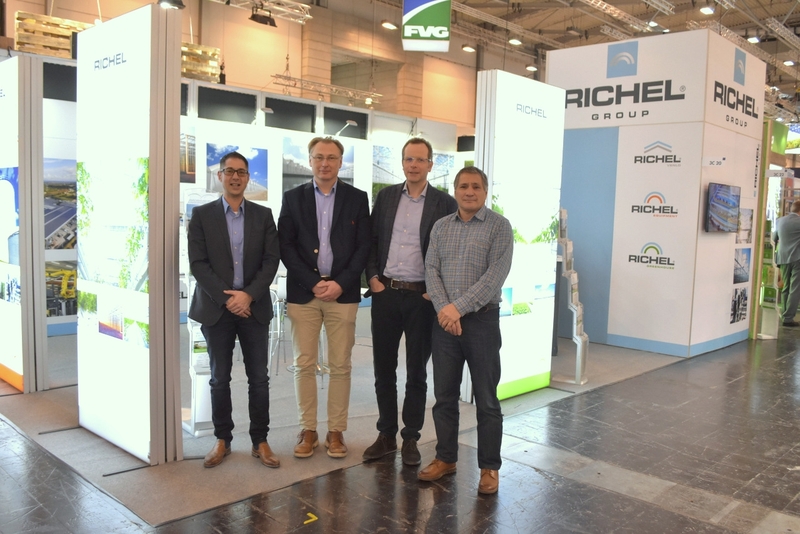 The Richel team as always on their spot on the show. Almost forgotten: a new soft fruit pot for Van Krimpen, here showed by Joost Thijssen. 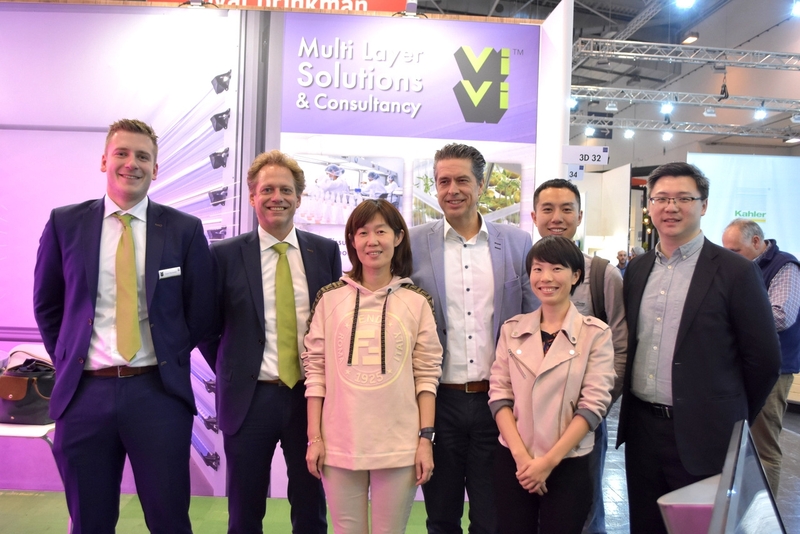 The ViVi team with Daan Mansveld & Rene de Vos was joined by the team of Agrigarden to discuss with us the opportunities in vertical farming in and outside China. 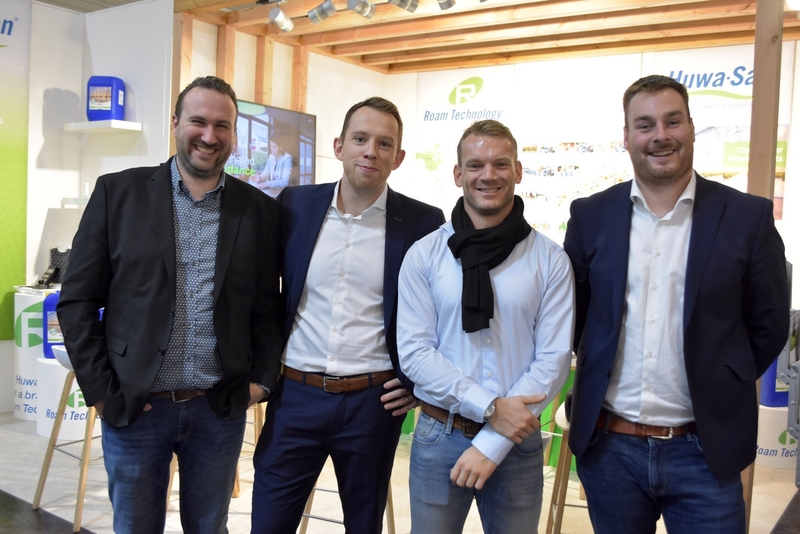 Team TTA: Bram, Jan, Adrie, Geert, Steve en Peter. 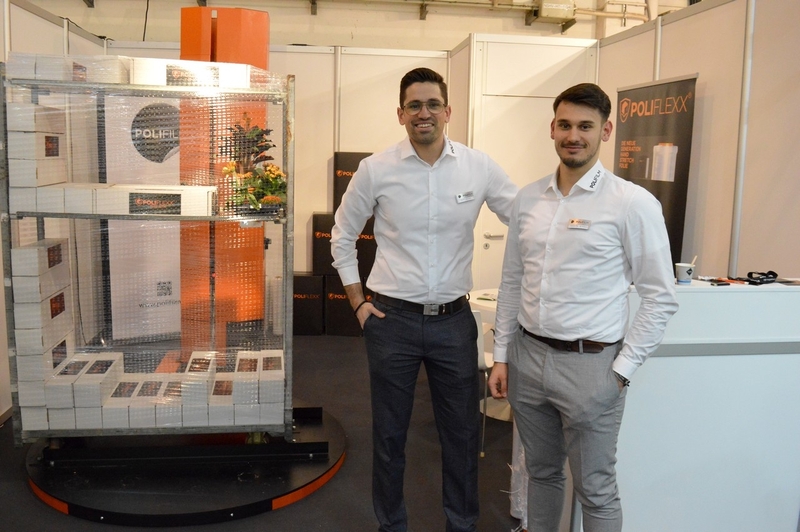 Joost van Rooij with Paskal Nederland. 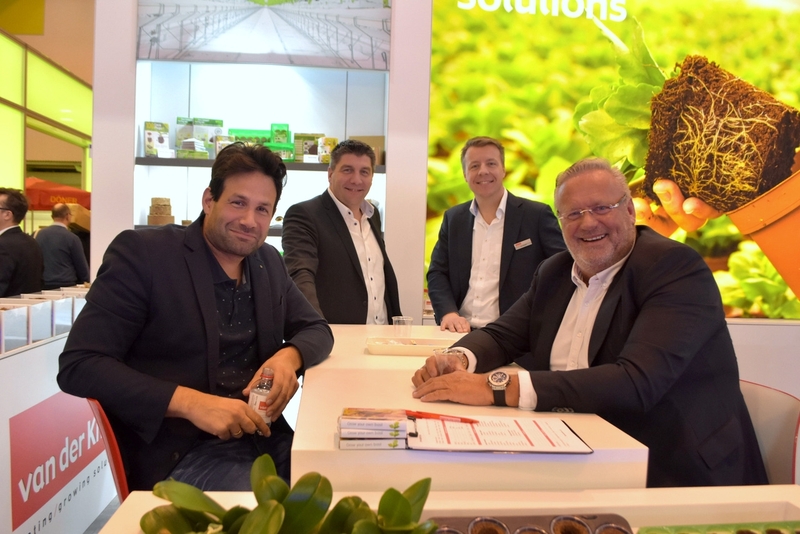 Hans Baekelmans, Ritvars Veģis, Matthias Rodeyns, Nele Ameloot, Hanne Denaeghel and Peter Sallaets (Greenyard Horticulture) with a teaser about the release of their new company name. 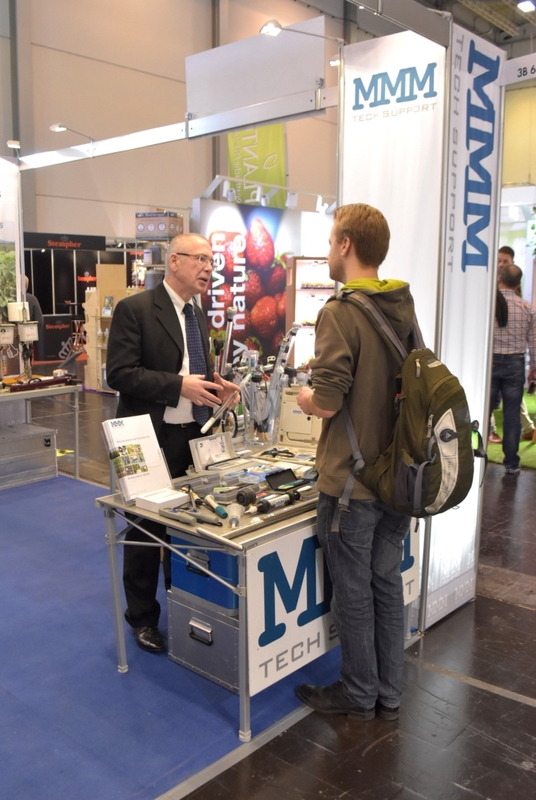 Tino Mosler, showing the MMM solutions. 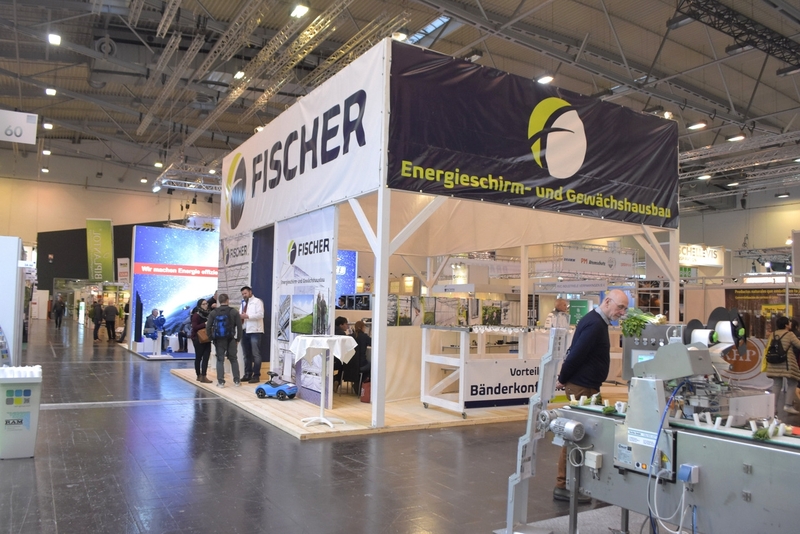 Fischer, German provider of energy screens. 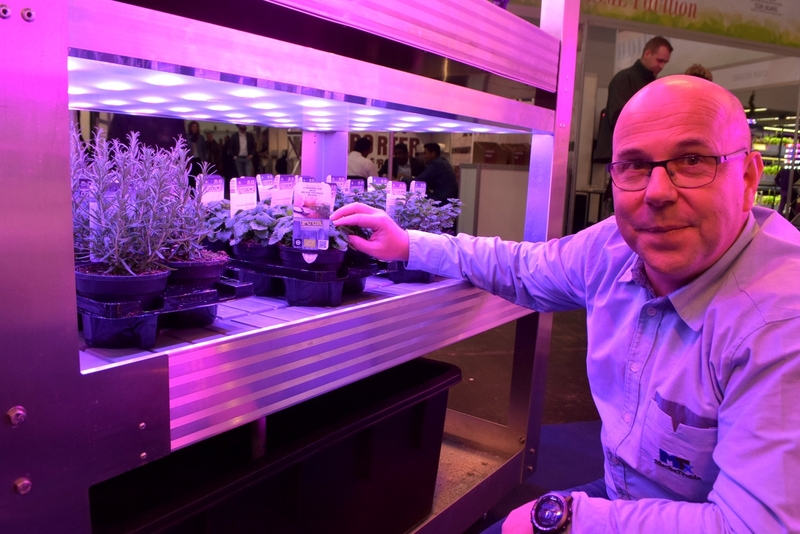 Christian Oosterlaan (HortiHands/Pack TTI) with a flexible solution to cut and harvest microgreens and herbs in vertical farming growing facilities. 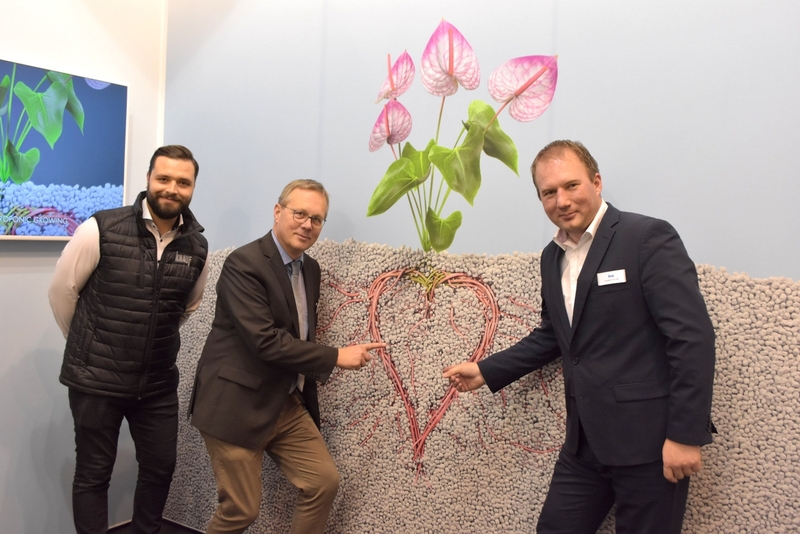 A new face by EMS: Kees Gunter (front left) will start in the flower bulbs, while Peterjan Goedegebuure and Jan-Kees Boerman were present as well. 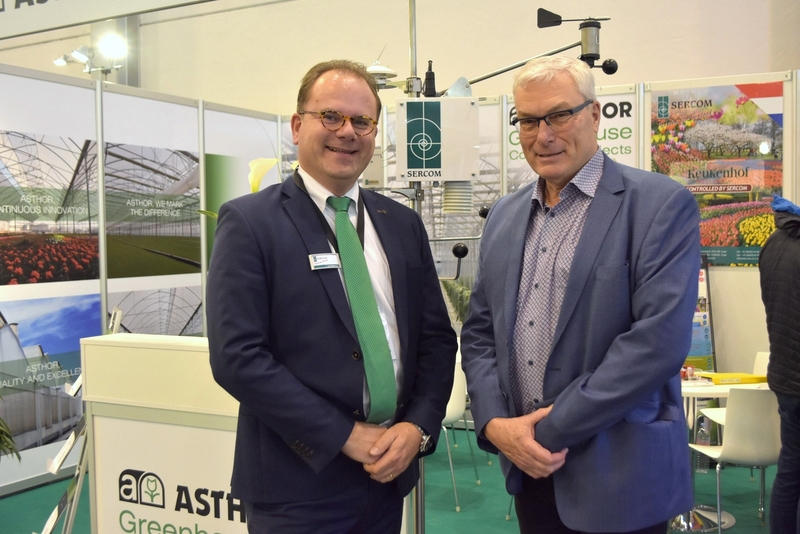 Jan Willem Lut of Sercom joined by Jan Wijgerse of Agrofim. 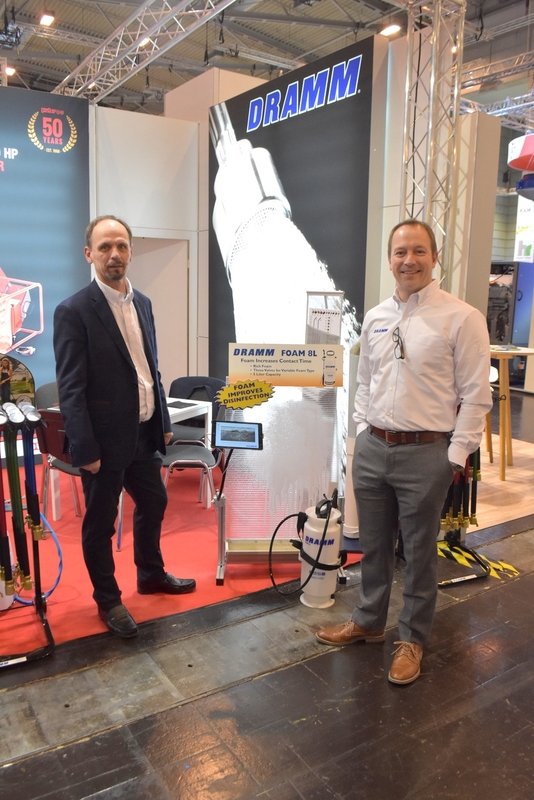 Tim Kreuger with Alumat Zeeman & Gijs Solleveld, APS Holland. 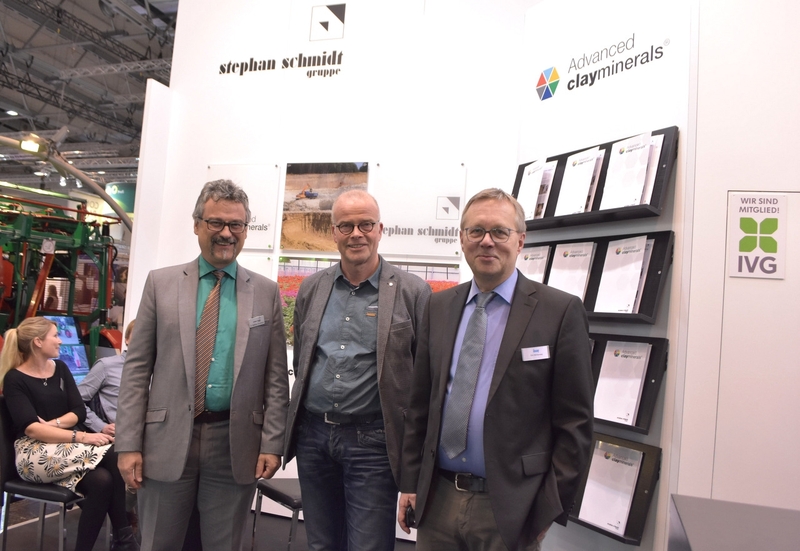 Jan-Bernd Brunken, ANdrzej Fabisiak & Timo Gerdes with Otte Metalbau. 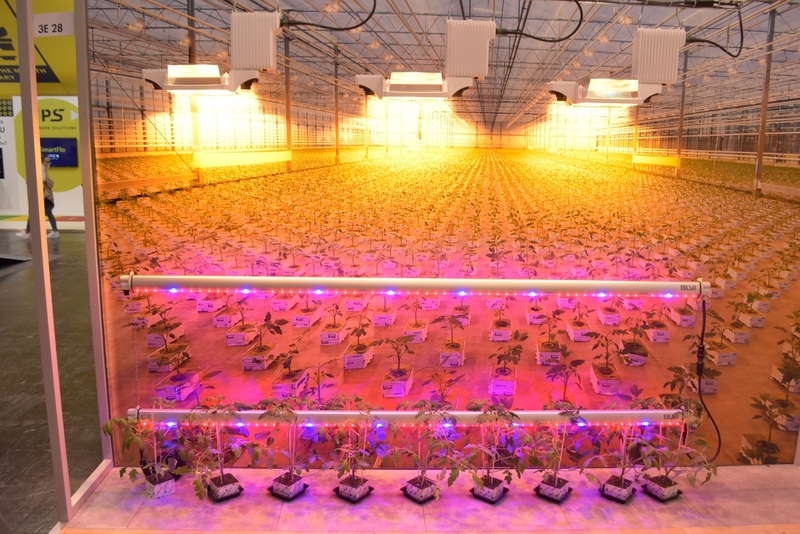 Smiemans Projecten, obviously designing a nice greenhouse project again. 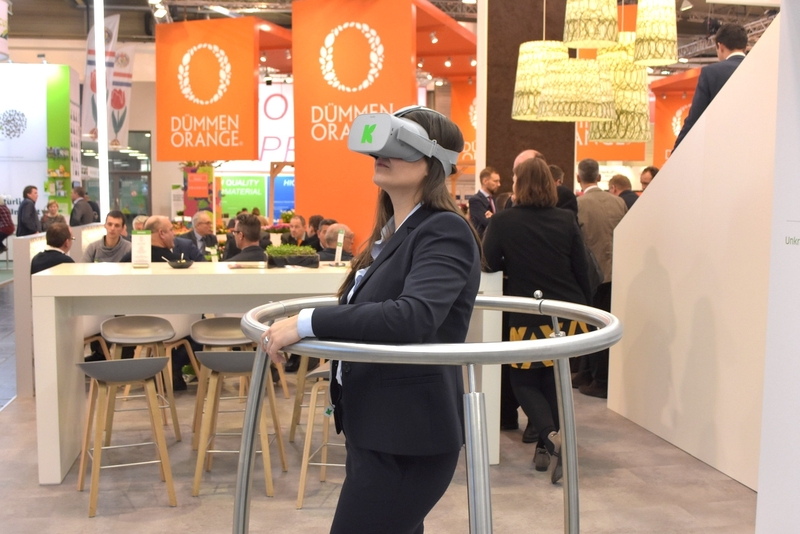 Their virtual reality experience made it possible to visit the production sites of the company. 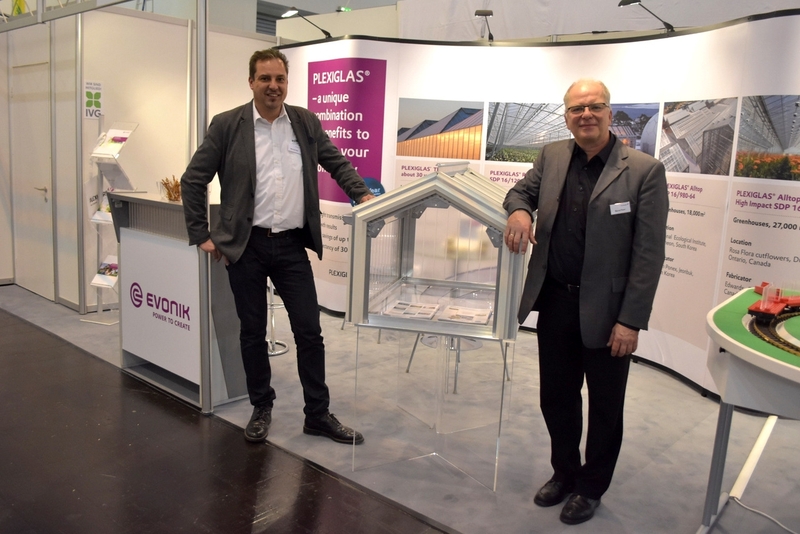 Jan Vos (Priva) and Henk Daniëls (Cogas Zuid) posed together in their shared booth. 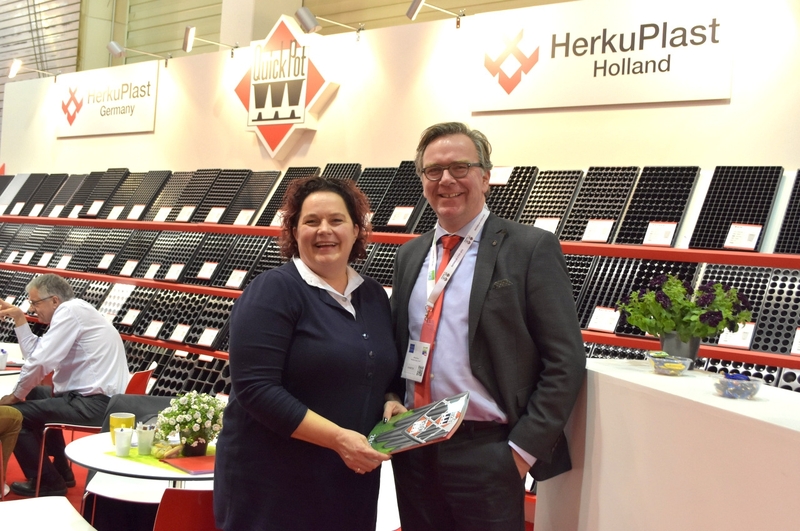 Els Schrauwen visits Alfred Boot with Herkuplast. 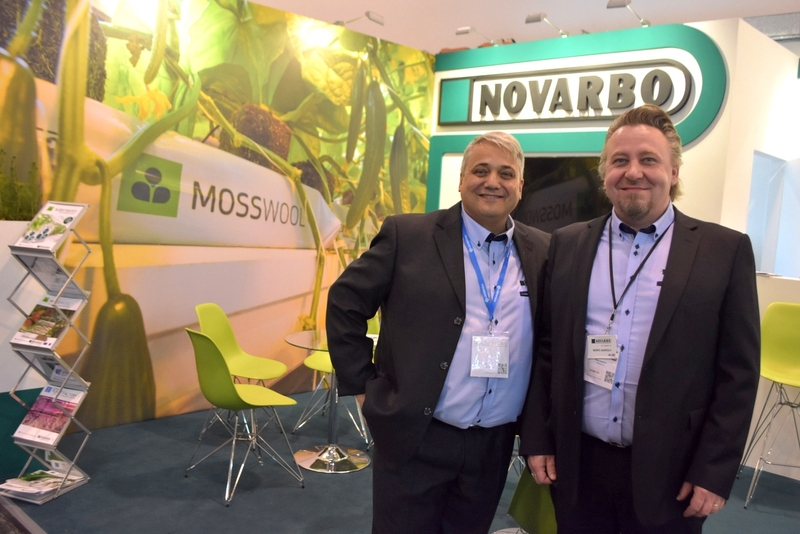 Last but not least: Carlos Garcia & Marko Jaakkola with Novarbo. 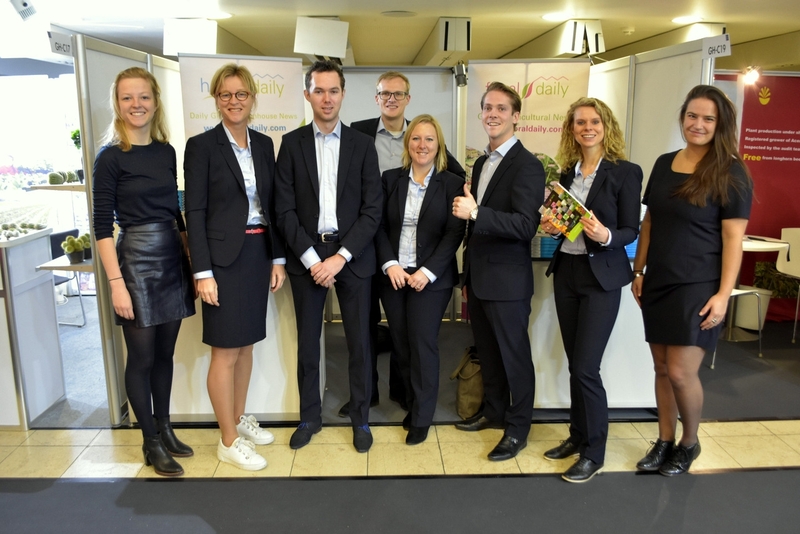 And the team of Van der Knaap Solutions - smiling even at the end of the day! 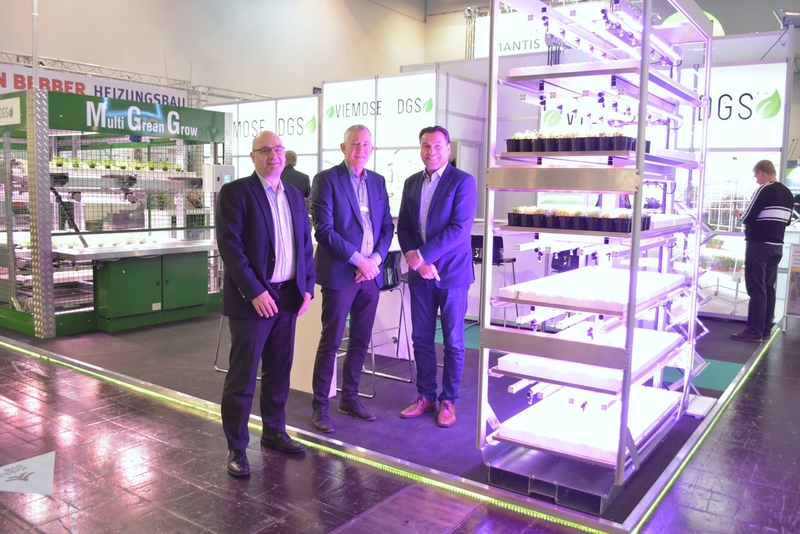 Paul Blom and Raymond van den Berg (ISO Group) in front of the ISO Cutting Planter 2500. 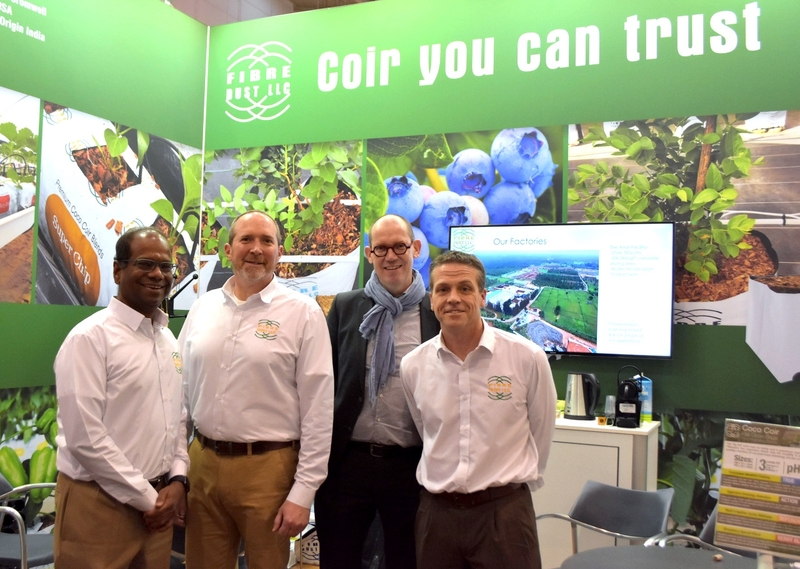 Horticoop and Lentse & Slingerland Potgrond with on the picture Claudia Zuur, Marcel Weinans, Jeroen Dunant, Ben Hoogendoorn and Tom Zwijsen. 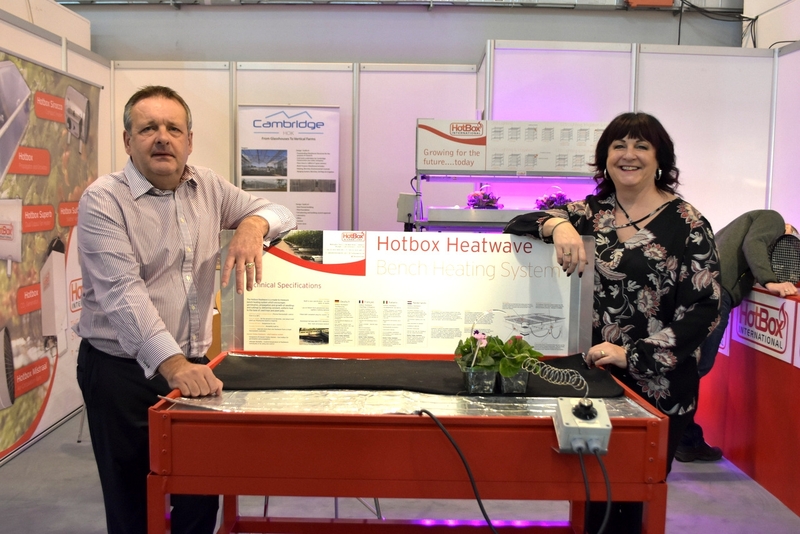 Malcolm Calder (Transplant Systems), Gertie Rongen (Limex Cleaning Solutions) and Joep Janssen (Limex Cleaning Solutions). 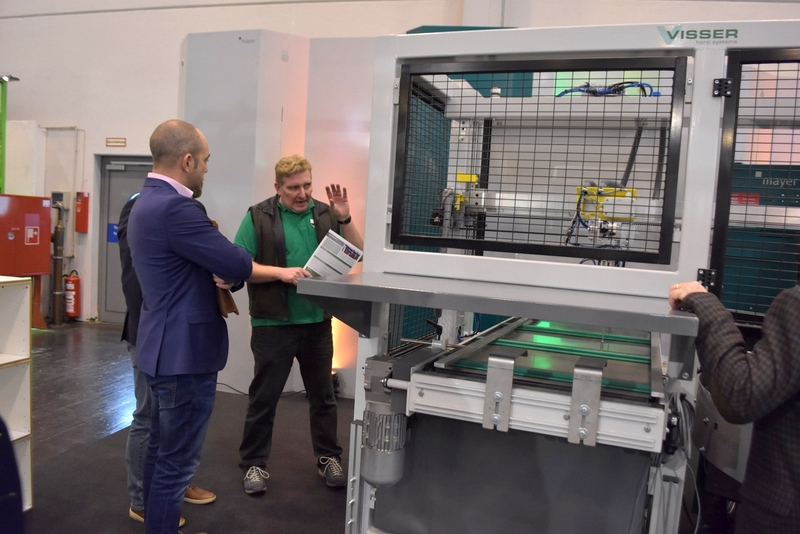 Limex showed their tray washing machine for orchids cask. 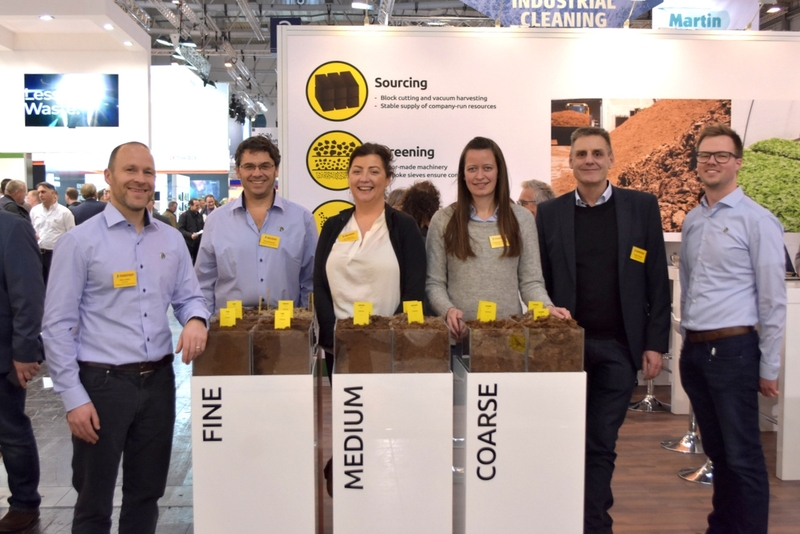 NP Plastics with their new Plamboe label plug from recycled plastic and in a 100% elephant grass organic variant. 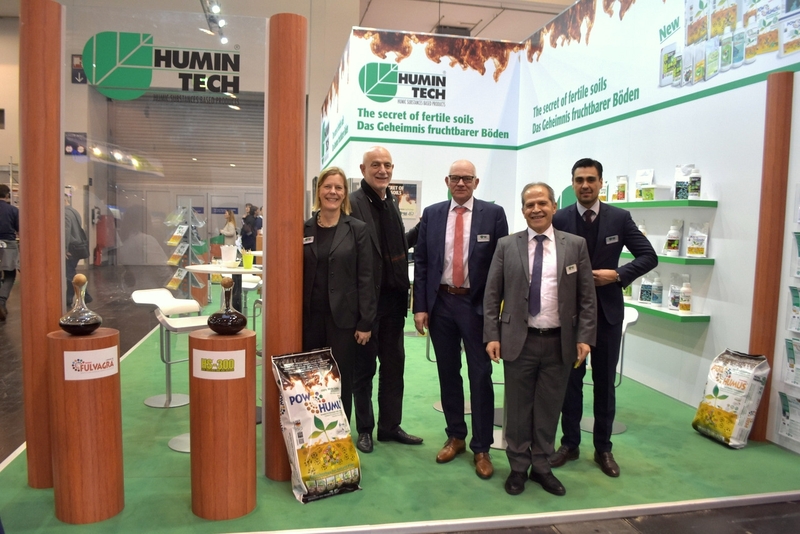 Royal Brinkman introduced HortiHygienz, a new hygiene concept. Raisa Weterings, Jan Willem Keijzer and Esther van Winden. 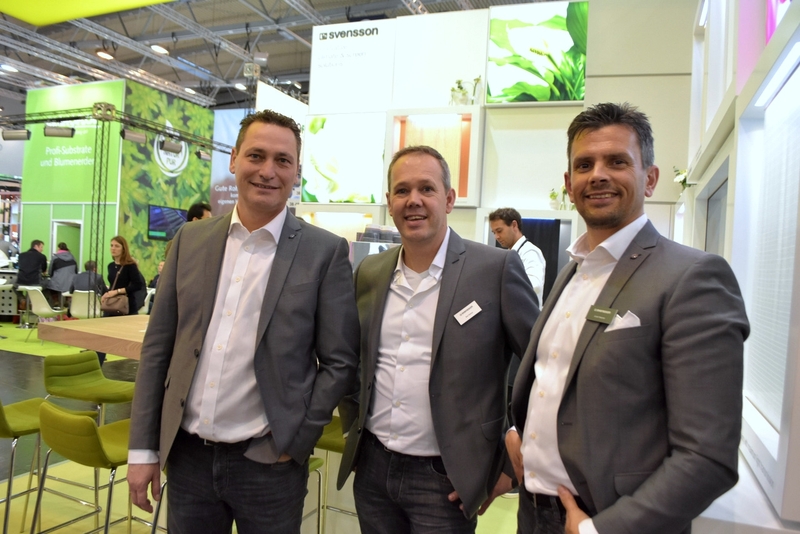 Team ViVi: Christian Wolthaus, Daan Mansveld and Bart den Hertog. 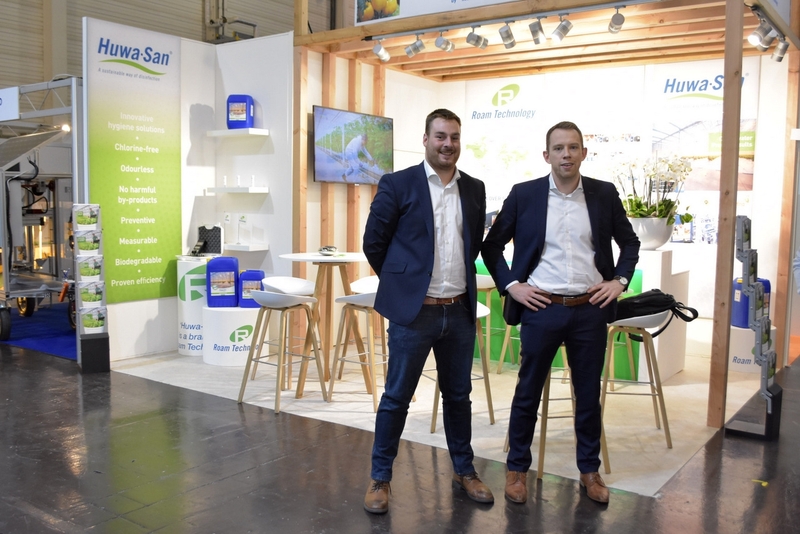 Dennis Tuk and Levi Trouwborst: two new faces by Visser Horti Systems. 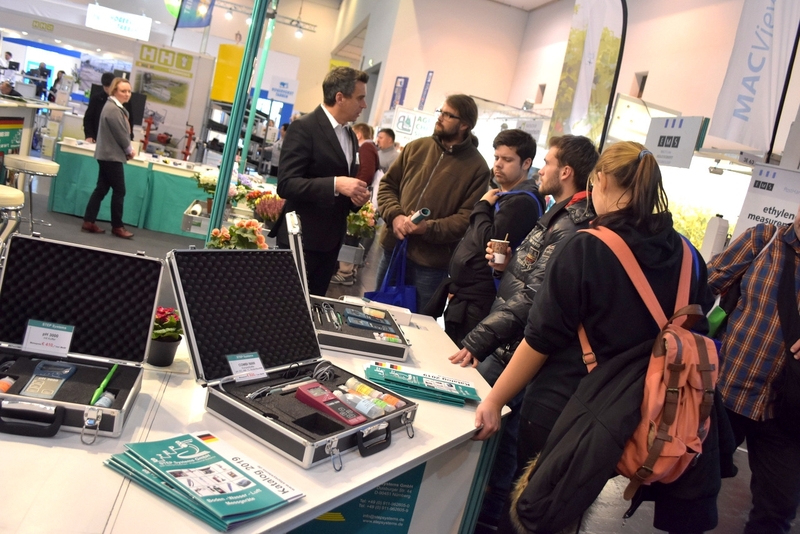 The company organised demonstrations with the AutoStix and the new multimedia and rooted strips. Unifortes: Robbie Kelder, Cherique Kranendonk and Roy Kranendonk. Simone Dekker, Ulrike Meyer-Reiners en Ella Rijnsent (Memon) probably will use this picture for their company calendar, isn’t it? Jack van Batenburg and Peter Zethof (Shakti Cocos) brought cocos and a Tuktuk. 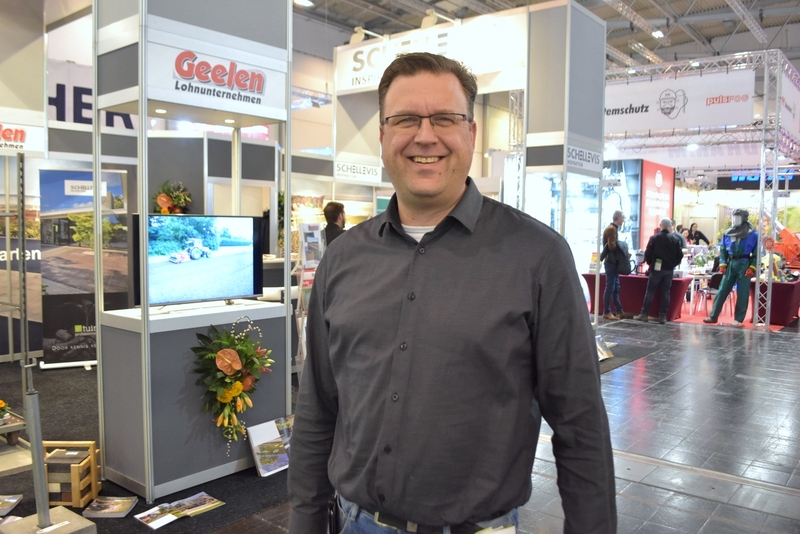 The work must go on: VTI Horst. 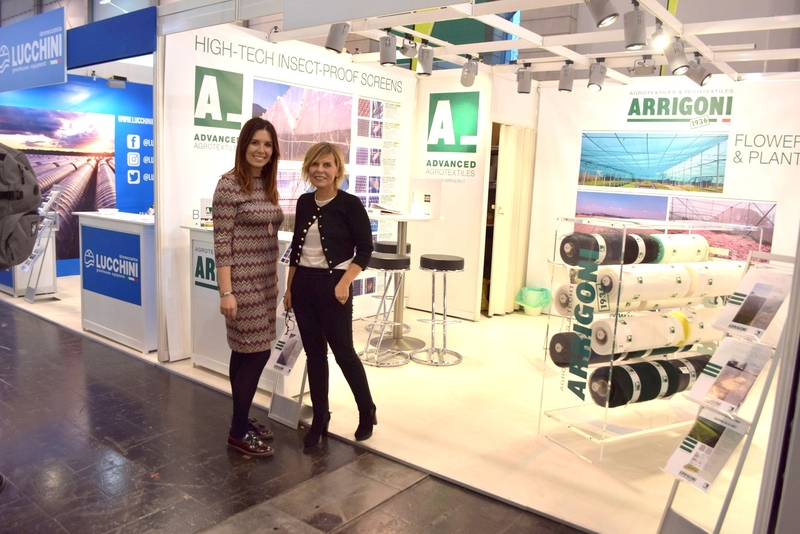 Anton Hulsegge and Heleen Hofstra (Howitec Netting). 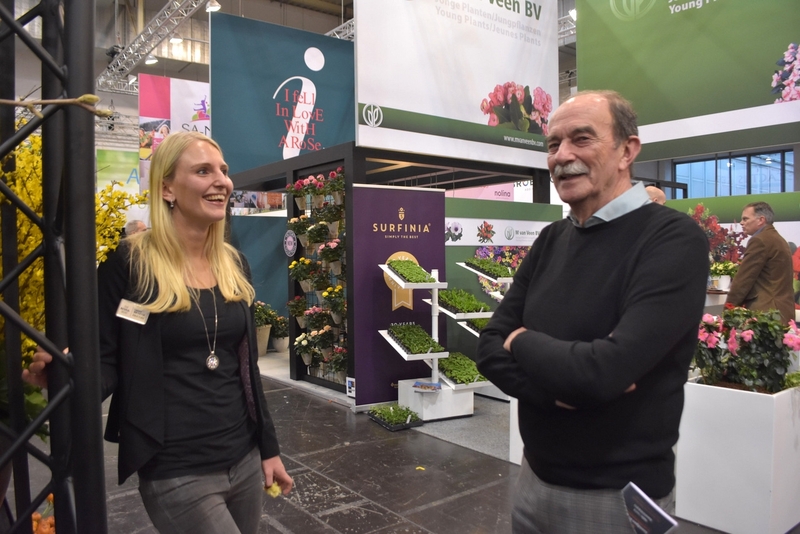 Jolanda Nieuwenhuijze (Valstar Plantenkwekerij), Cees van Luling and Marianne Duivenvoorden (Royal FloraHolland). 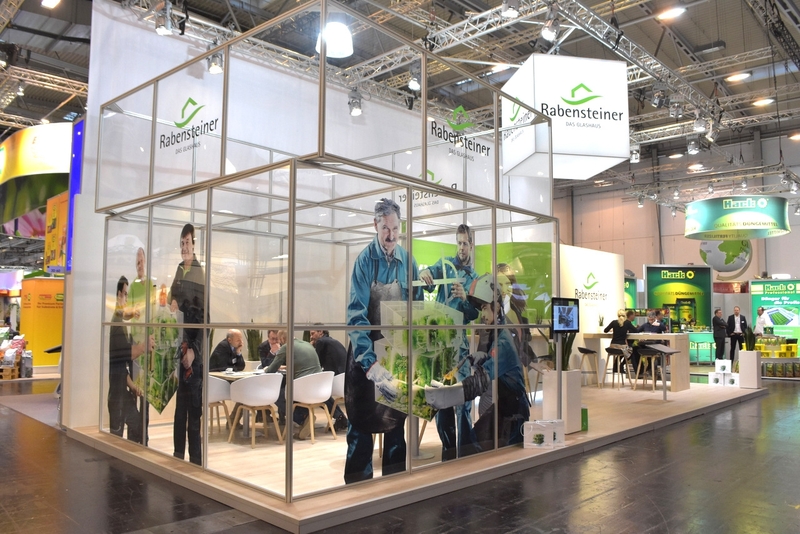 Arco van der Hout (Valstar Plantenkwekerij) in the ‘vegetable corner’ of the booth. 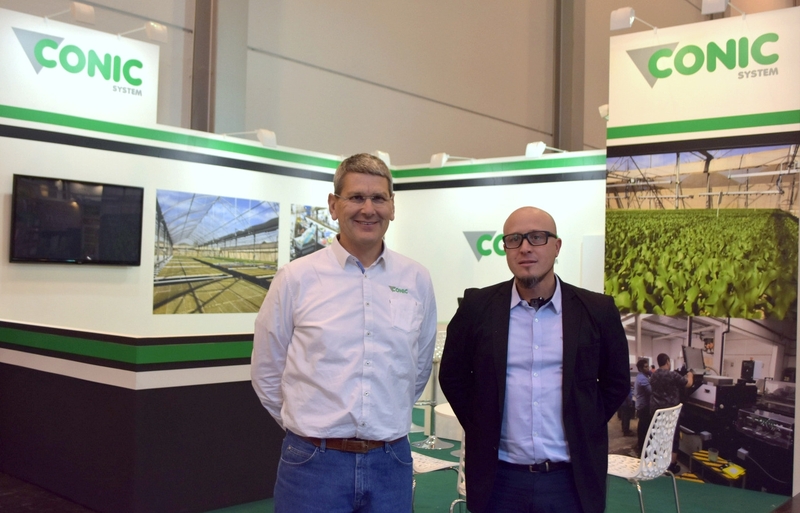 Jan Peters en Nenad Stojadinovic (Alfa Pro IT): well known in floriculture, but also taking steps in fresh produce. Knowing what’s in stocks is useful everywhere. Sercom with Hugo Nijgh, Ignacio Rodríguez Gracia and Jan-Willem Lut. 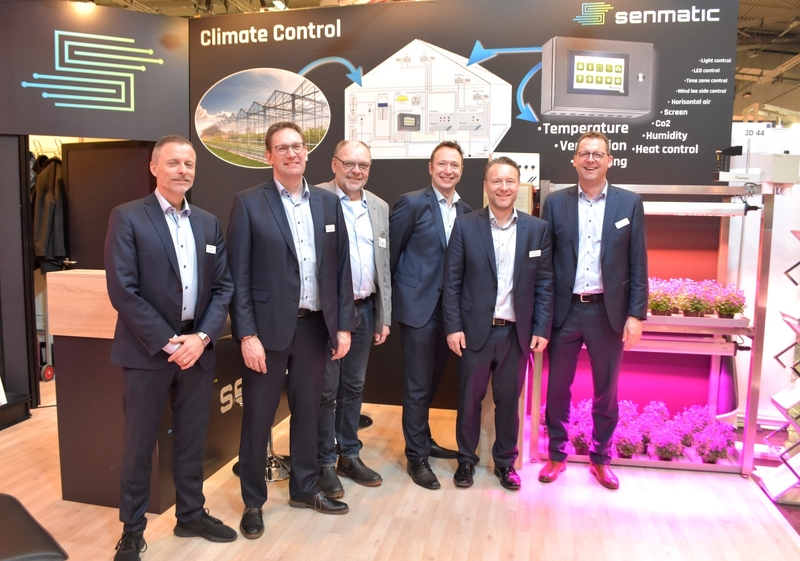 Malcolm Calder (Transplant Systems), Didier Liot (Demaitere SAS), Stefaan Vandaele (Demtec) and Geert Desmadryl (Demtec). 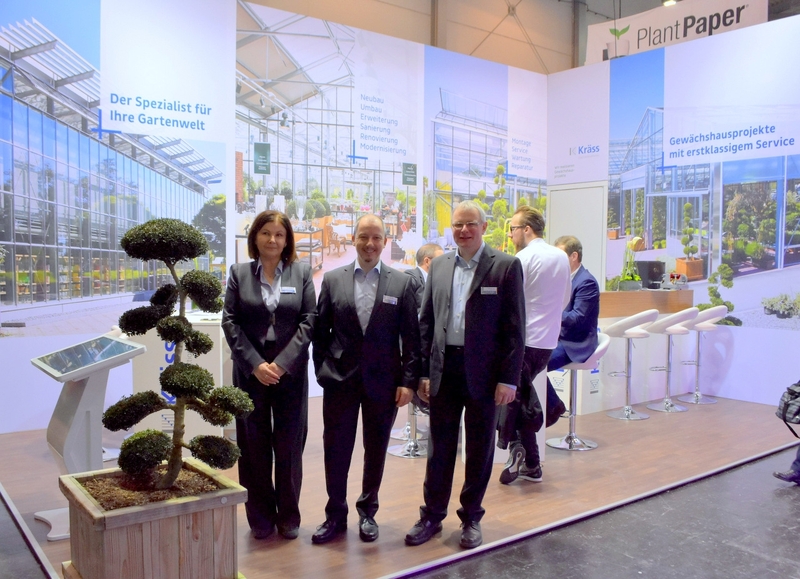 Oerlemans Plastics: Joan Hanegraaf, Henri van Hemert and Piet van den Oord. 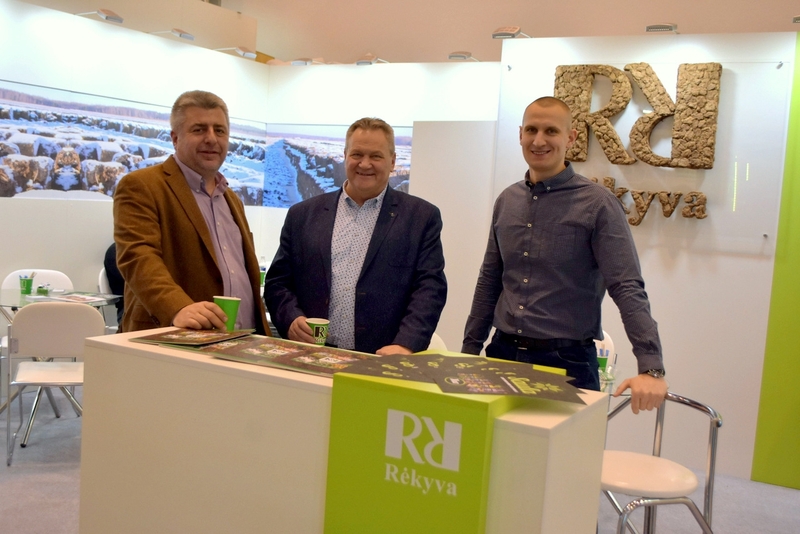 Jürgen Rost, Marc de Bruin and Robert Bartkowiak (Jiffy). 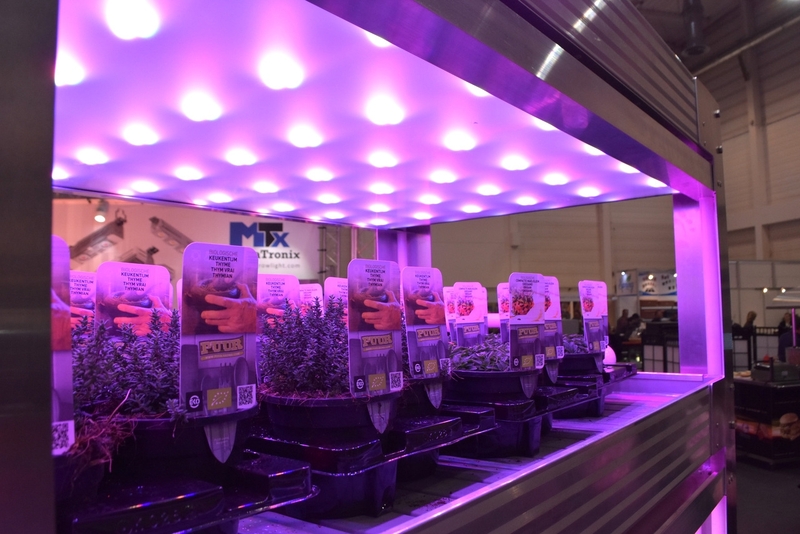 Marc shows a campanula grown in a Jiffy pot from young plant up to end product. 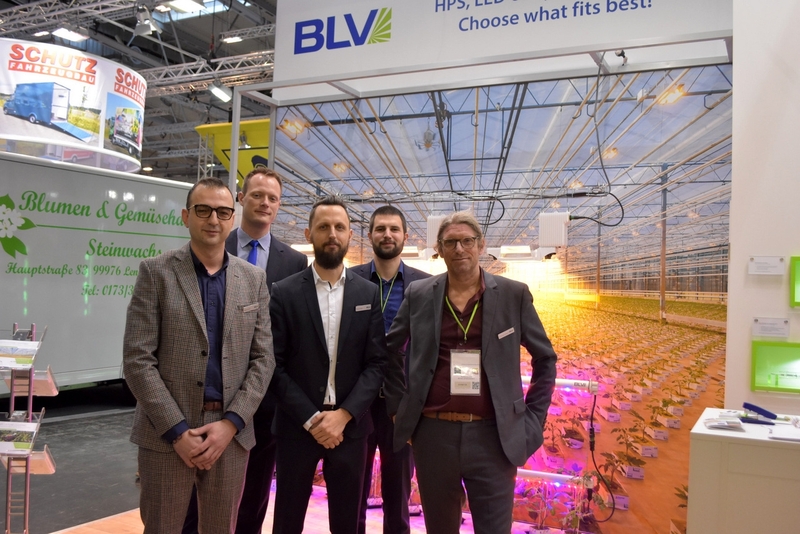 Colleagues from the United Kingdom (NIAB), Germany (Bundessortenamt), France (GEVES) and the Netherlands (Naktuinbouw). 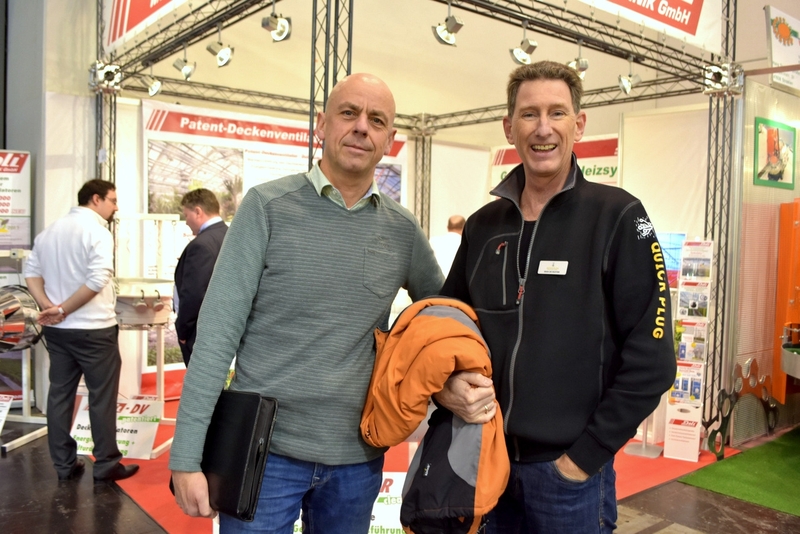 Maurice Stals (Kwekerij Stals) and Peter Wicke (Vermako). 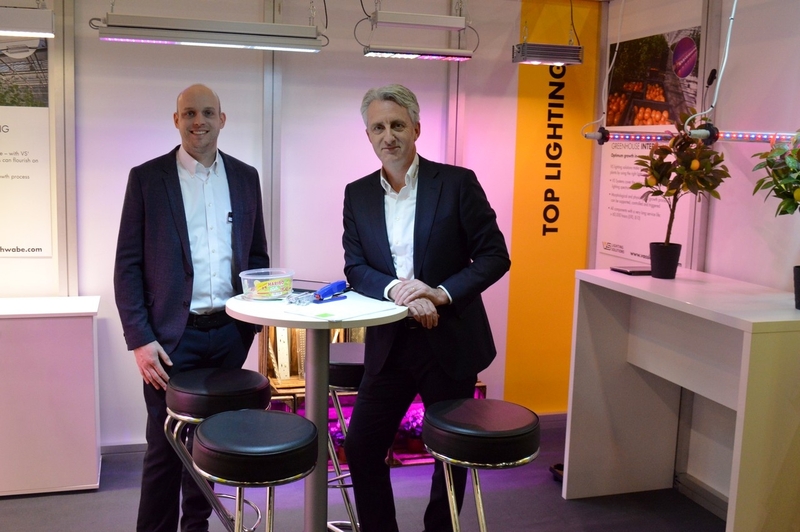 Ammerlaan Construction shared a booth with Light4Food. On the picture Jos Groenewegen, Mariëlle Cuppen and Ronald Thijssen. The foil Polifilm has many adventages as compared to the traditional foil. 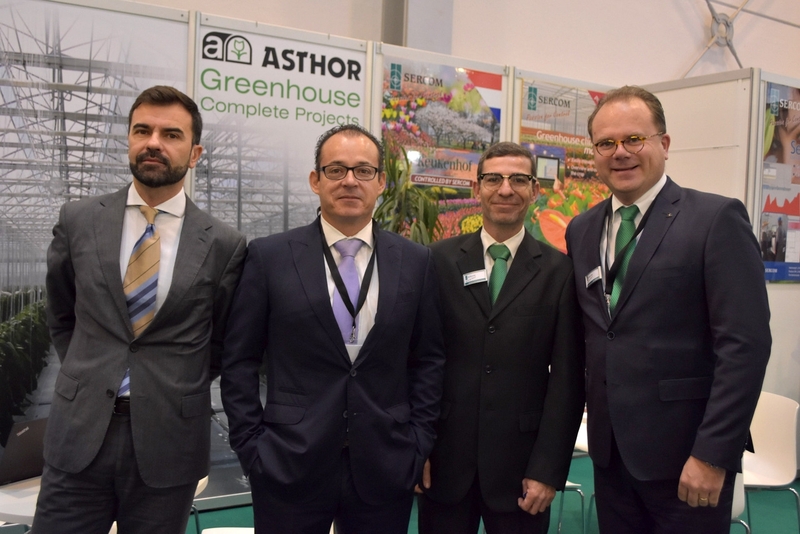 Just ask these guys, Ivan Garayar and Pierre Michiel Klaus. 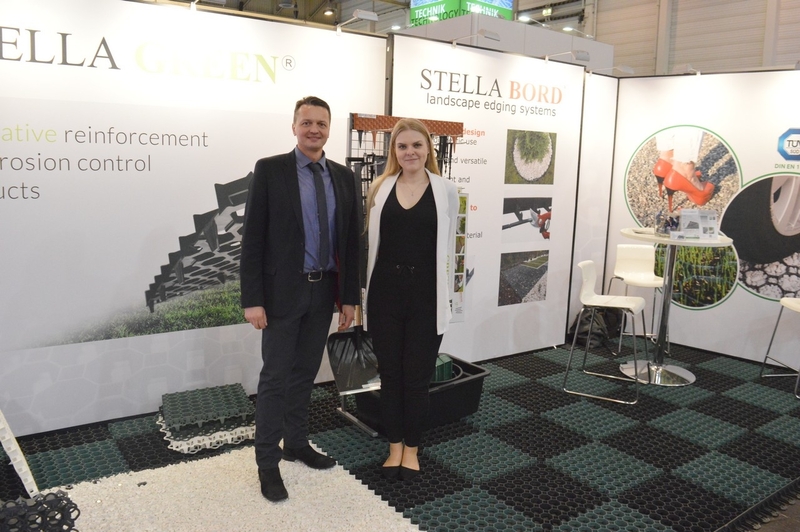 To prevent erosion of borders, parkinglots and other environments, Adam Zalewski and Monika Madejek from the Polish company Stella Green have the right solution. 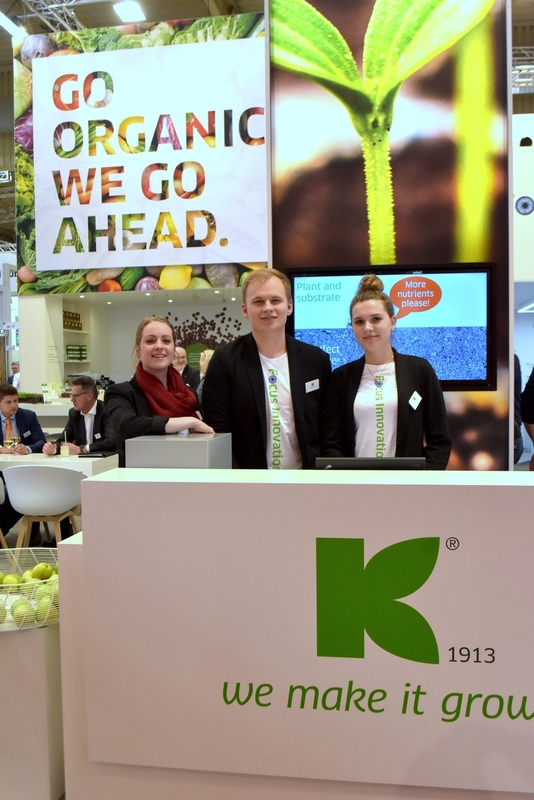 The team of Kekkilä BVB.BVB Substrates has been producing substrates of the highest quality for a century. 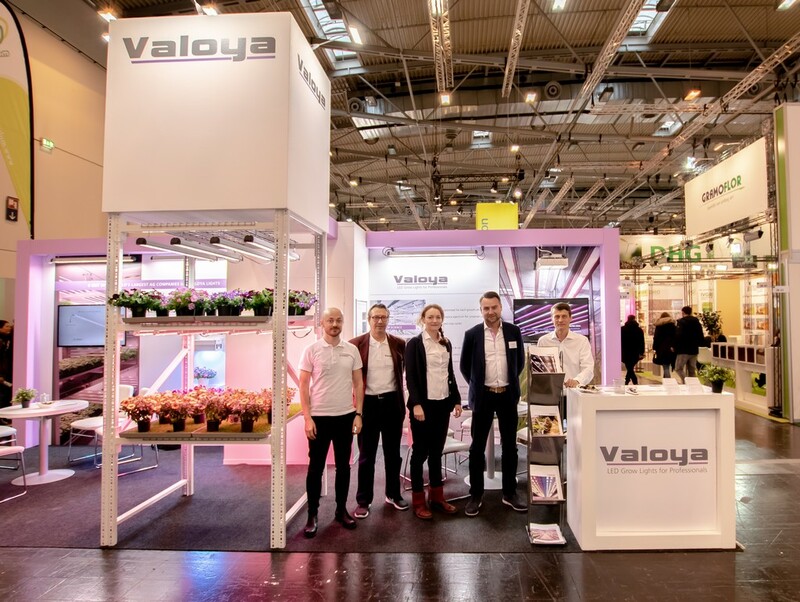 To serve customers even better with sustainable solutions, BVB Substrates is joining forces with Kekkilä, a subsidiary of the Finnish company Vapo Oy. Cheers with a good cup of coffee at the early morning! 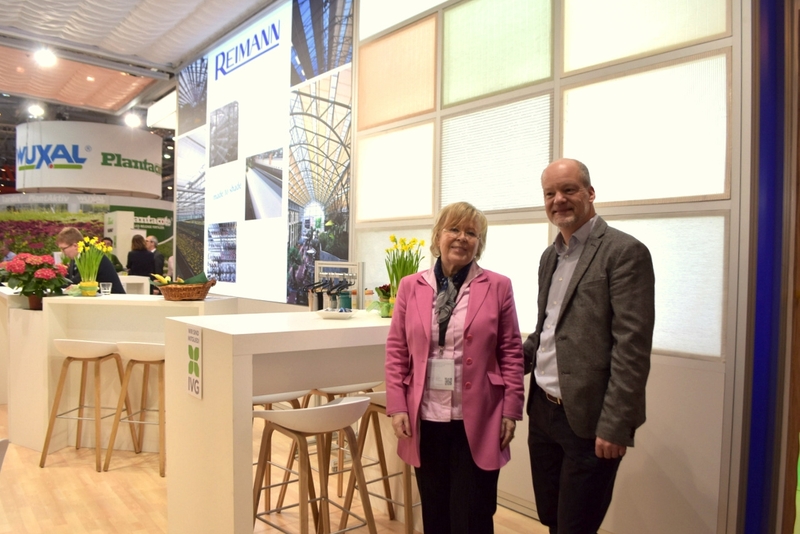 Annelies Michiels and Jeffrey Huiskes of Flier Systems. 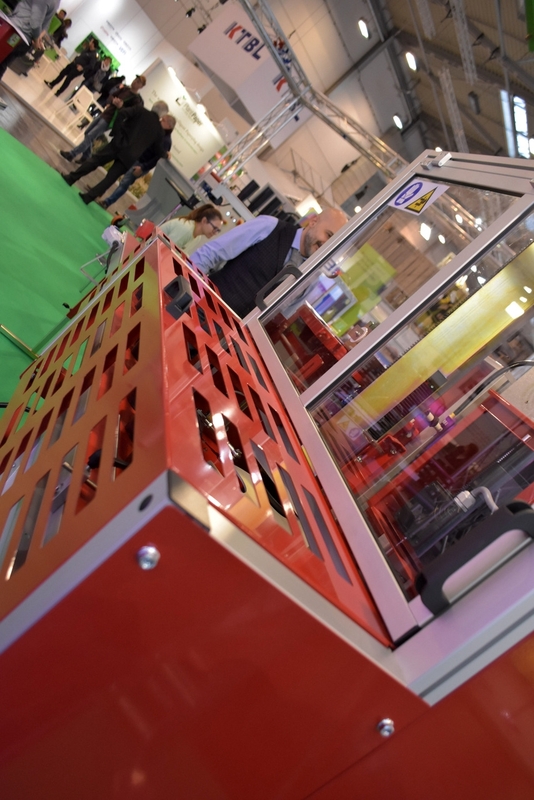 Flier used a interactive system to present their Fl'ex sorting line. 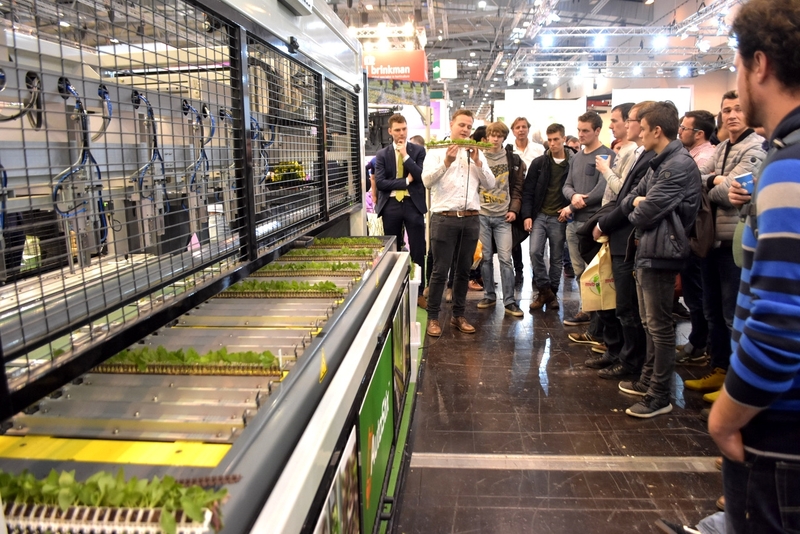 Jeffrey:"The automated Fl’ex Sorting line for cuttings carries out continuous and uniform grading of the propagation material." 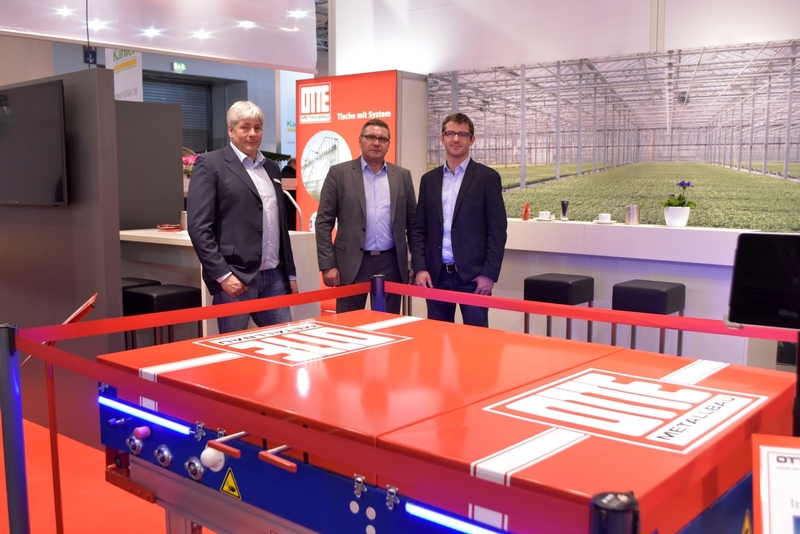 Logitec Plus brought a special 'table' into their booth. 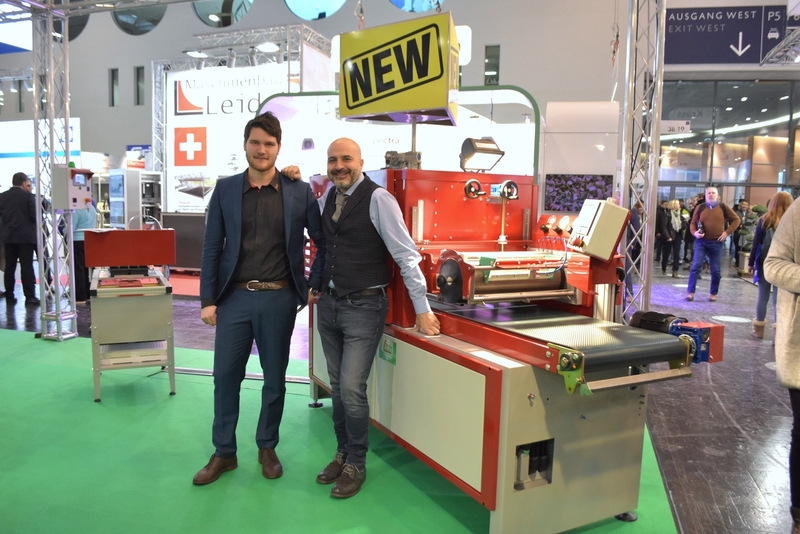 This fibre cutter is a strong machine, so covered like a table for this event. Erfgoed is doing good business. 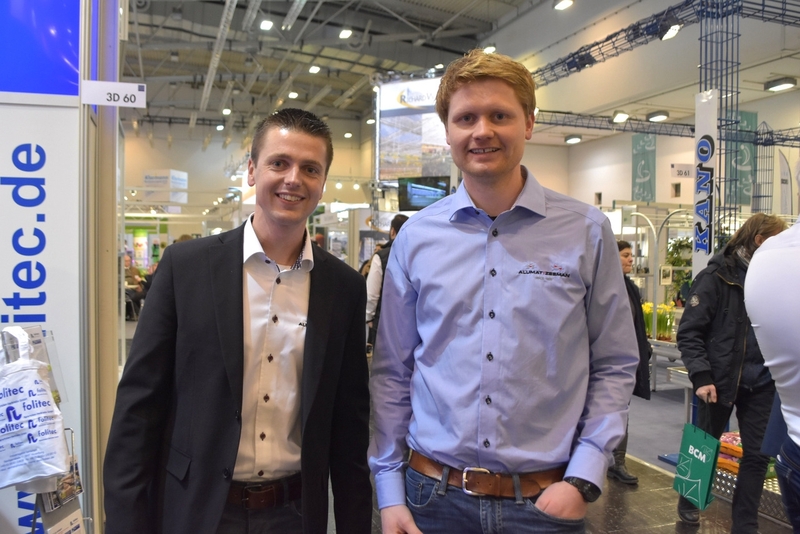 Geoffrey Geluk and Fred van Veldhoven of Benfried. Geoffrey has just started his new job at Benfried. Our very own team was ready for some serious photographing! 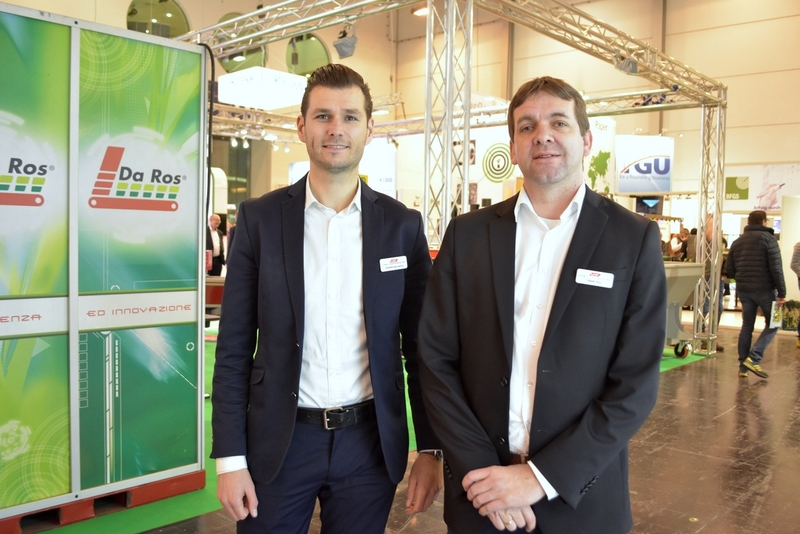 Daniel Da Ros & Fabio Camisa with Da Ros, showing the new & completely electronic sowing line. 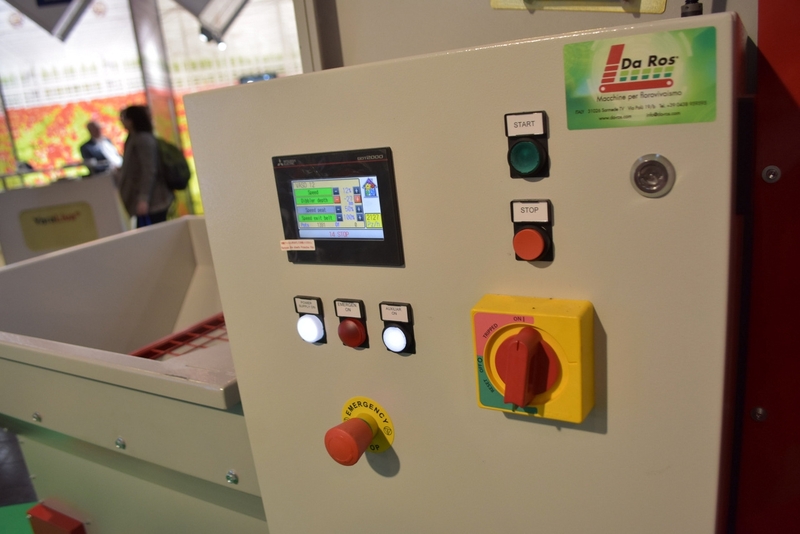 Also the newly introduced potting machine (a smaller version of Da Ros' earlier creation) is completely electronic. According to Fabio, this is the future of potting machines. 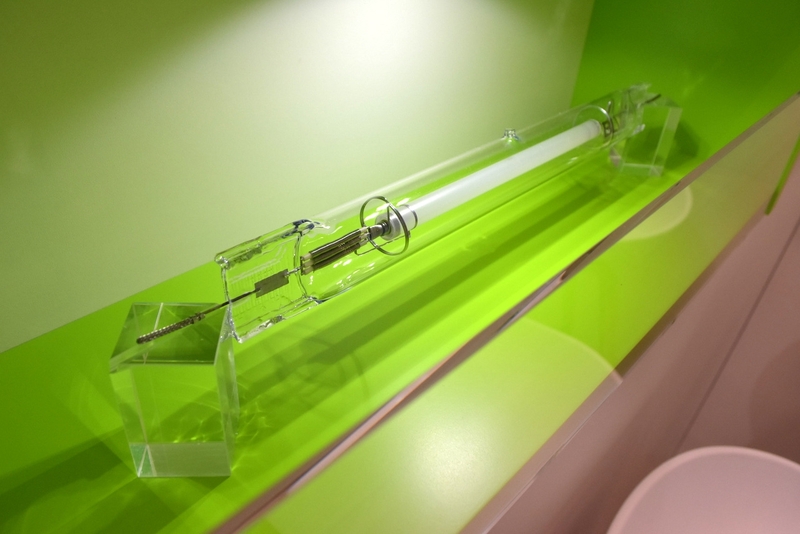 "There are no pneumatic parts, so it's more secure. Movement is driven by disks, no chains." For safety measures it's completely closed. 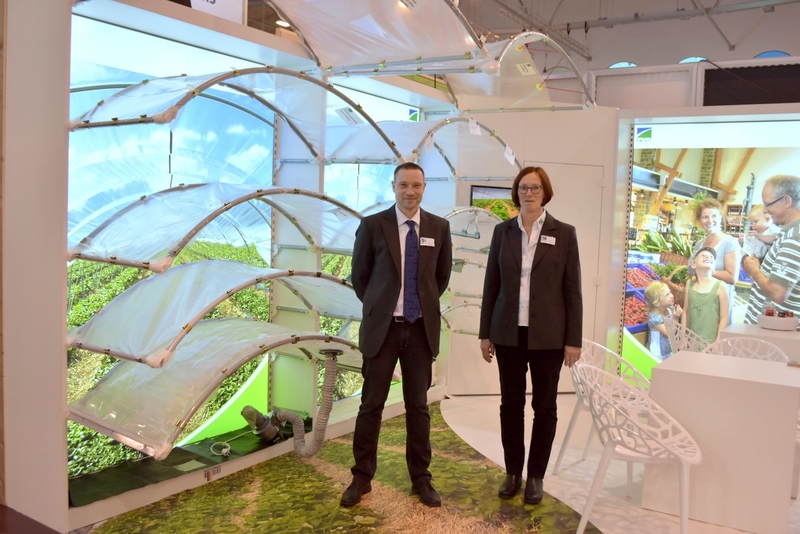 Jens Schafer & Gisela Rauen with FVG Professional Gardening, showing various greenhouse foils. 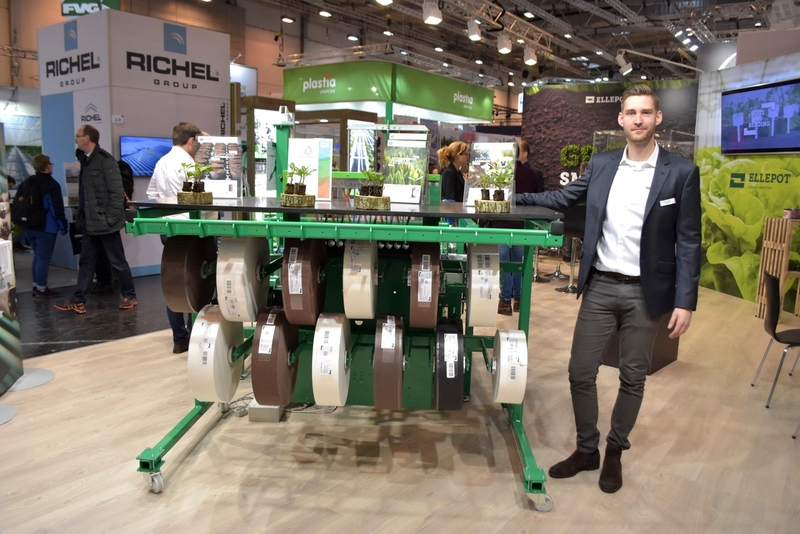 Brian Schmidth showing various solutions to not use plastic pots. 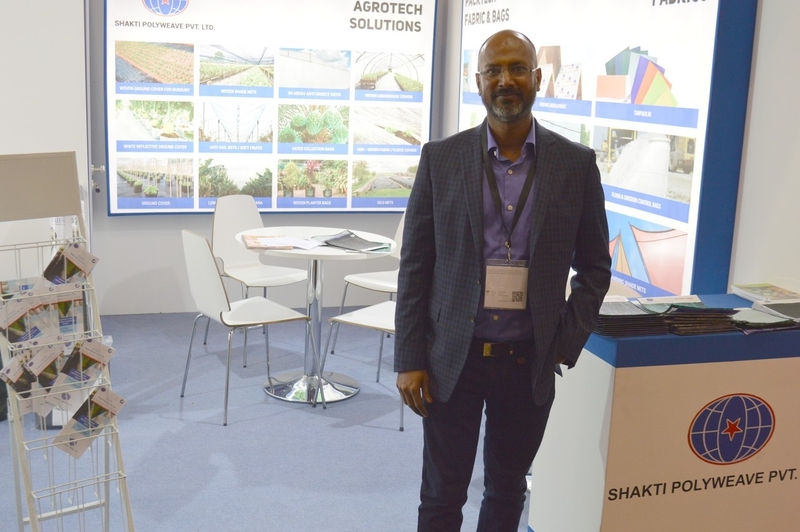 This is important for Ellepot, wanting to offer a product to substitute plastic. 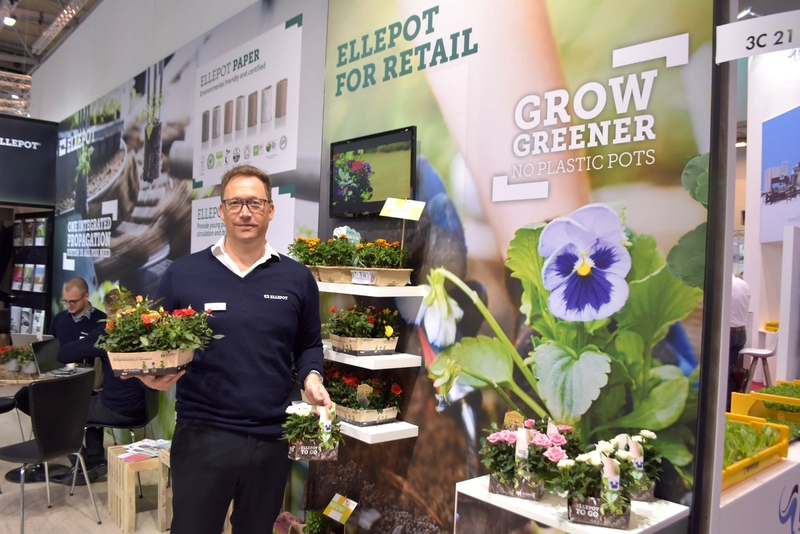 Carsten Thrane with Ellepot showing the various Ellepot papers. 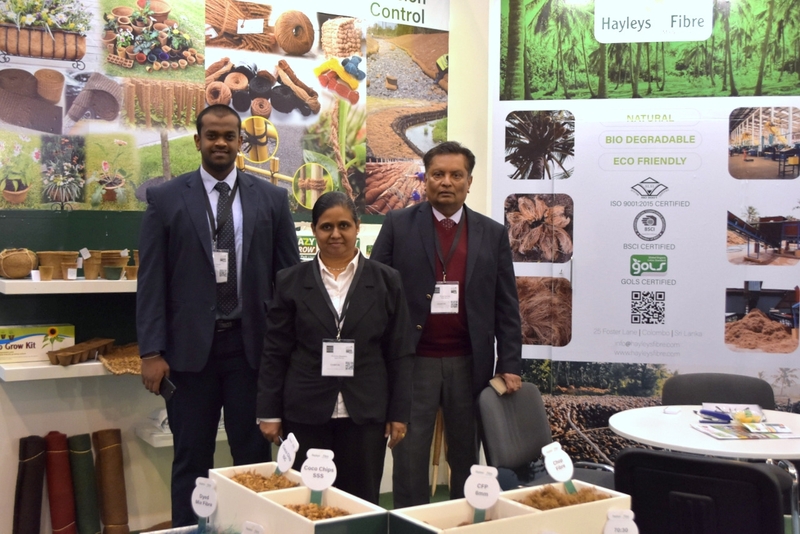 The Pindstrup team is promoting forest gold wood fibre, that can be mixed to reduce the use of peat and improve the characteristics of the substrate. Plenty of reasons for the BLV team to smile! 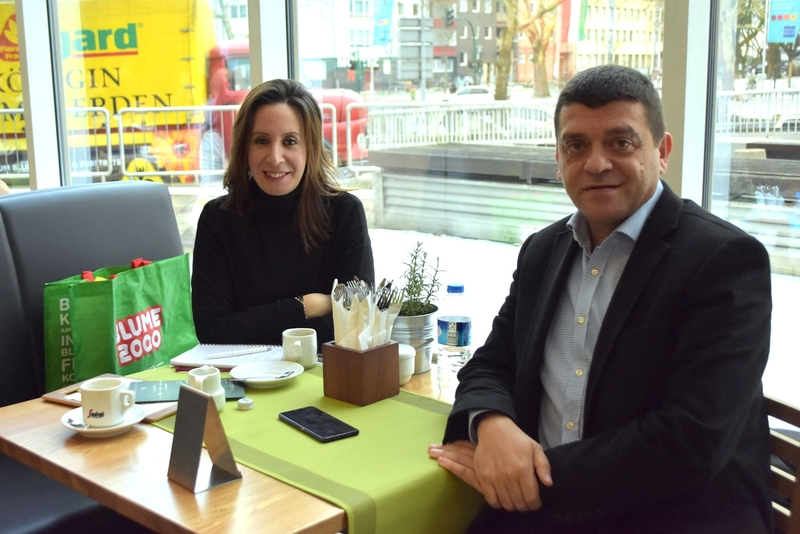 Esin Toy & Engin Er with GrowTech Eurasia. 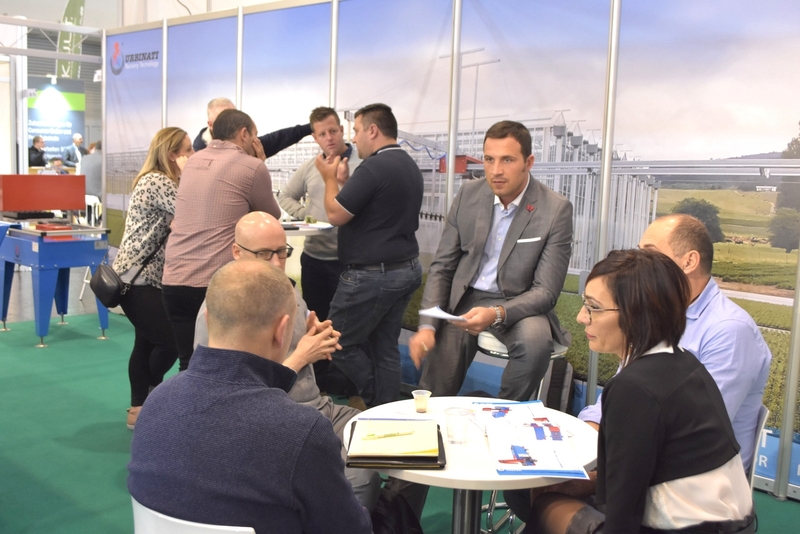 The exhibition will take place in November 2019 again. 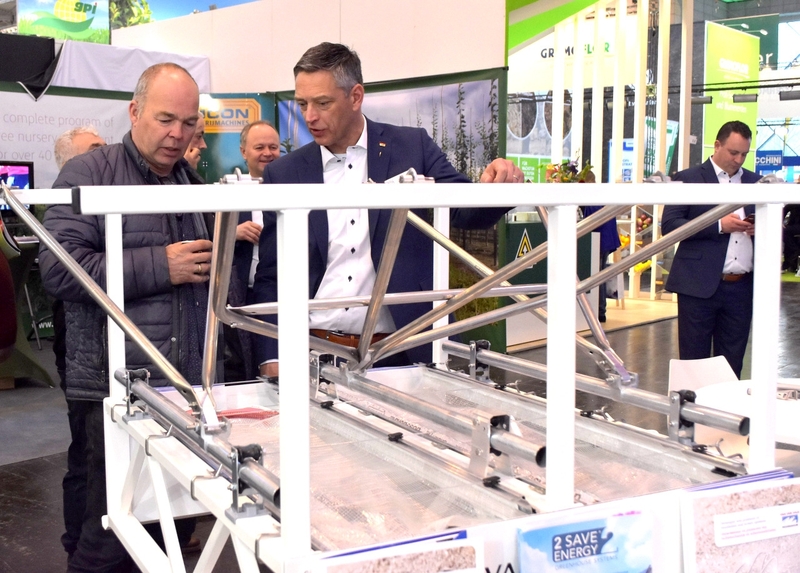 The Step System always attracts many visitors, since it's an easy solution to get more grip on your greenhouse. 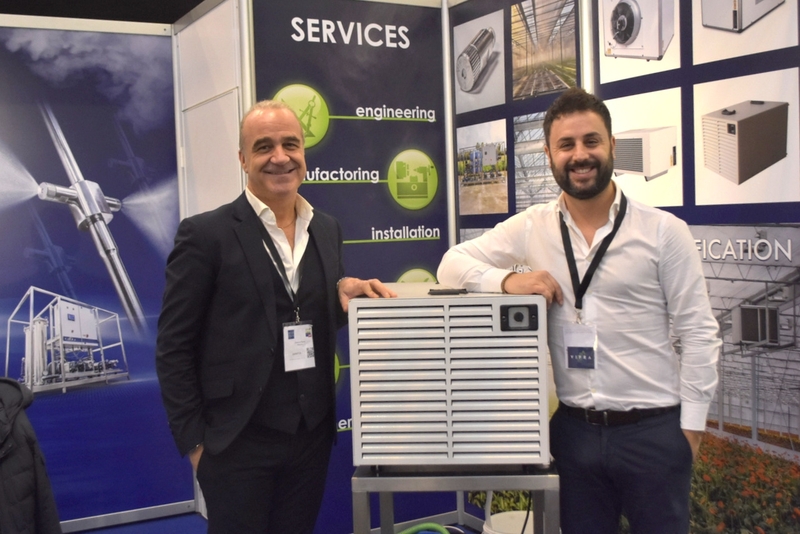 Miquel Ribera & Jordi Gusi with Conic System. 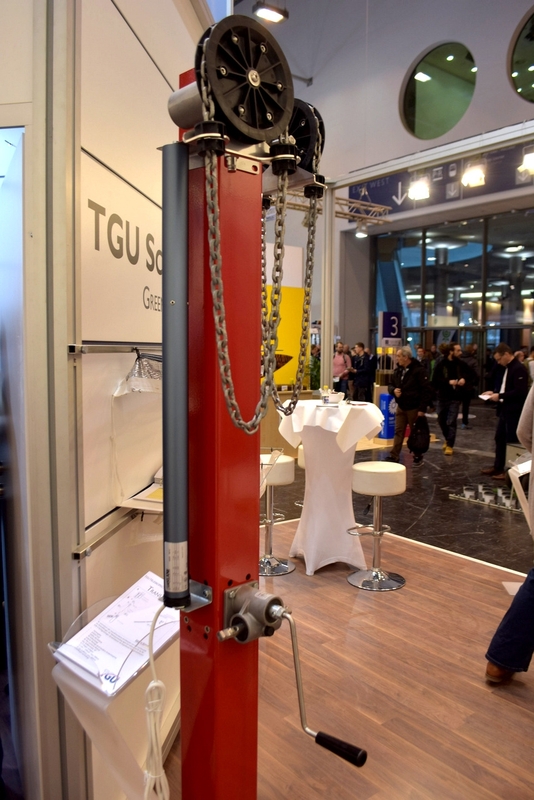 The team with TGU brought various products to the exhibition. Steen Tharald Beyer, Soren Kristensen & Erik Jensen with Viemose-Driboga. 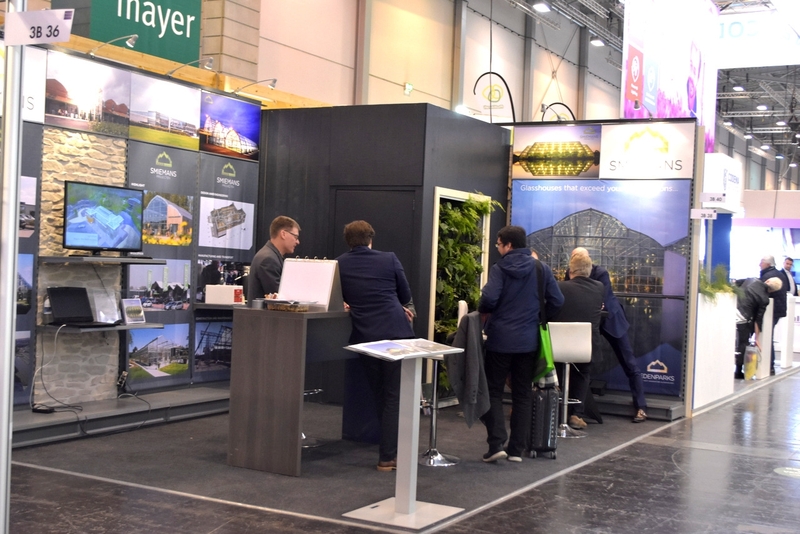 In the background of course the famous Multi Green Grow, but as shown in forefront they provide other vertical farming solutions as well. 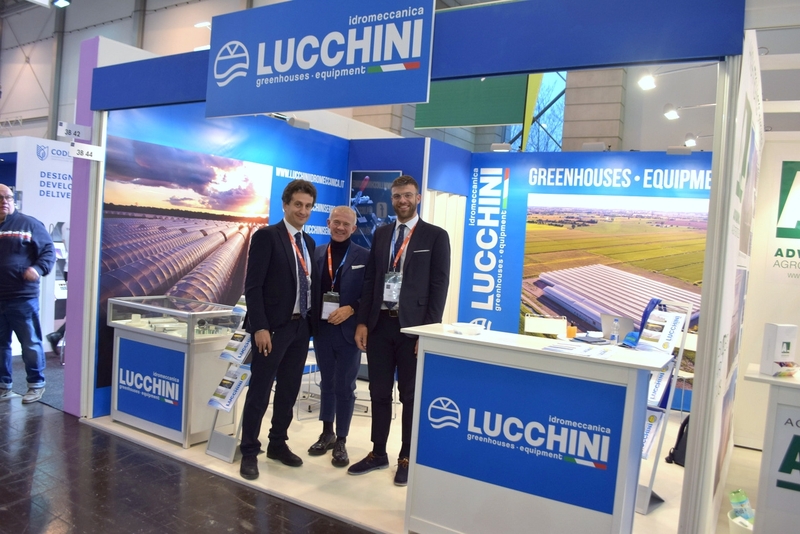 Davide Barotti with Urbinati talking with the Agrinomix team, all the way from the USA. In forefront Elisa Lauris with Urbinati. 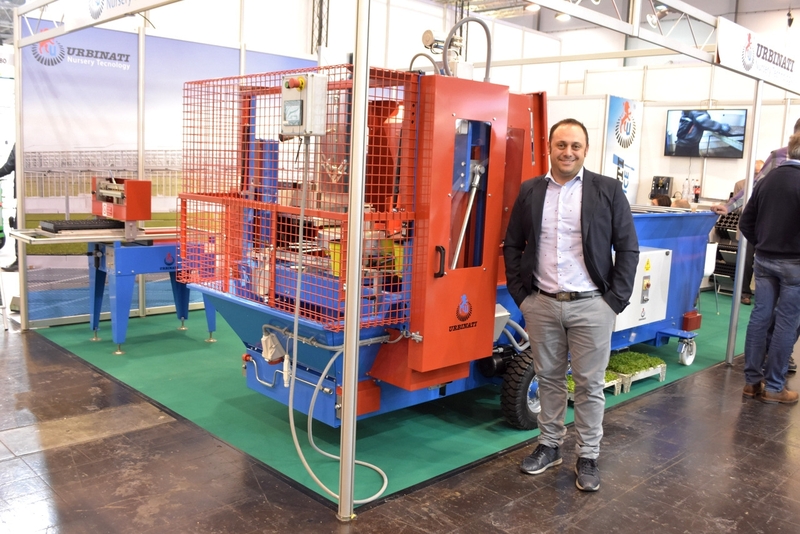 Alessandro Mazzacano shows the new fully electronic Urbinati potting machine. 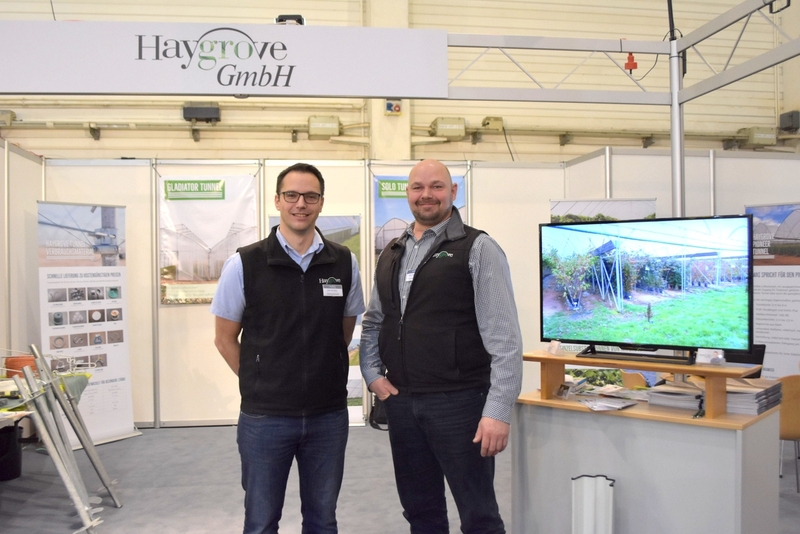 Christian Kuse & Ingo Kreye with Haygrove. 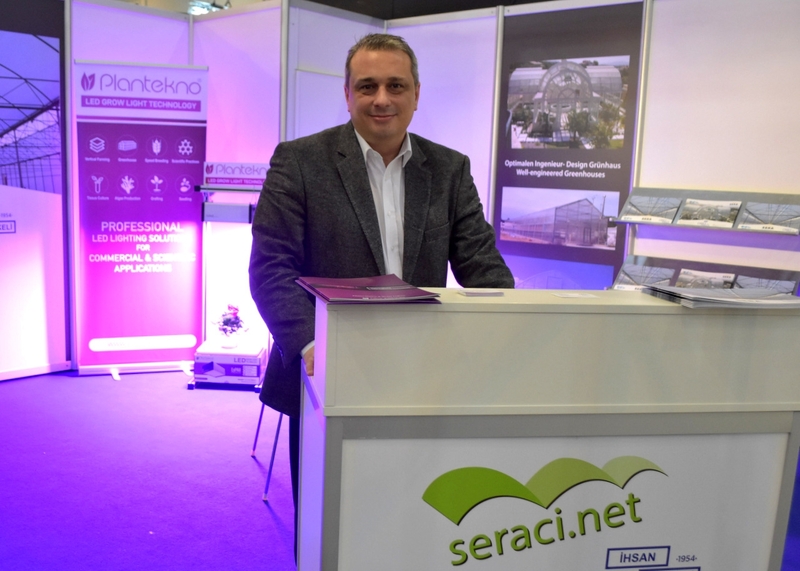 Hayri Murat Turkely with Turkish greenhouse builder Seraci. The newly introdued Plessey Hyperion Interlight: designed in a way that's slim from above and spreading the light out in a wide angle.